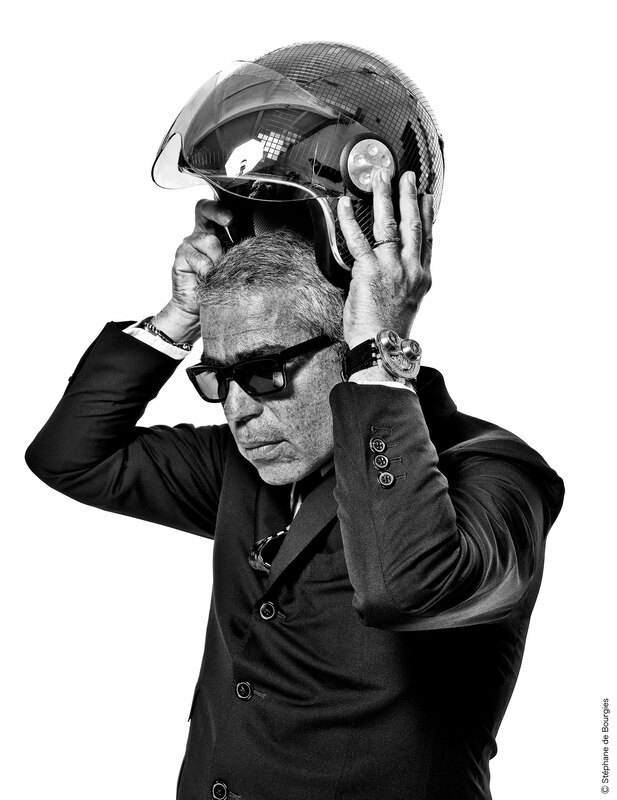 The cool, interesting and important from the personal stash of the renowned Parisian retailer. 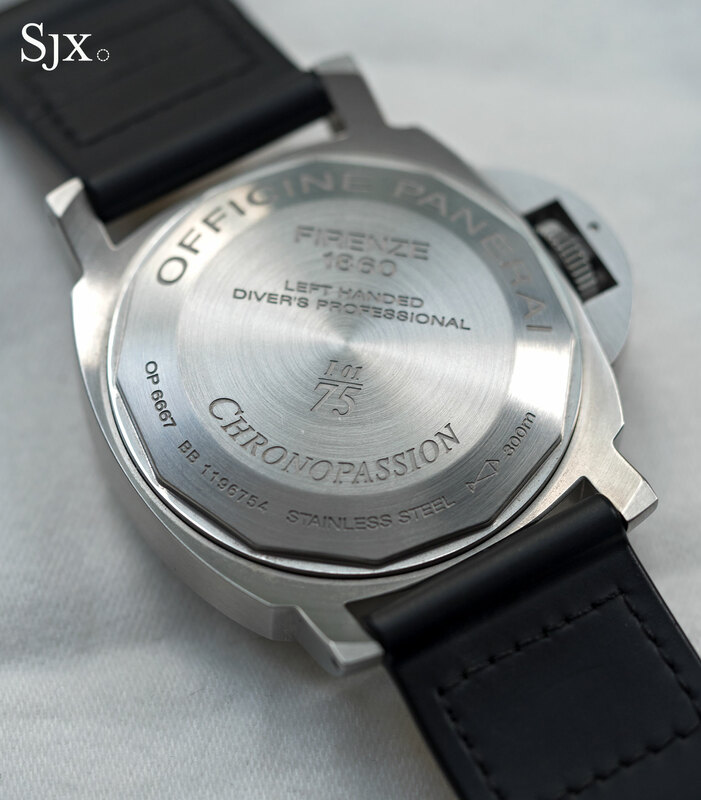 Few individual retailers have been as influential in contemporary watchmaking as Laurent Picciotto, the proprietor of Chronopassion in Paris, whose collection of watches are part of The Hong Kong Watch Auction: Four taking place end May 2017. 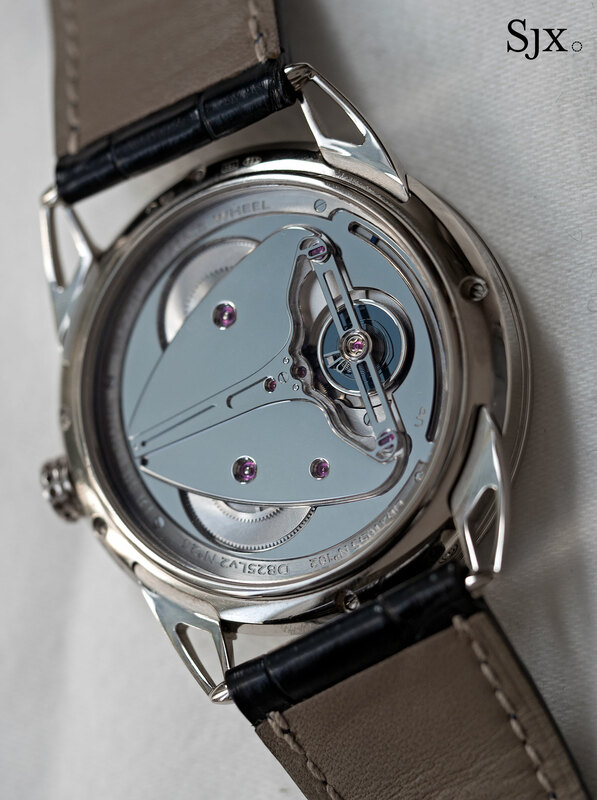 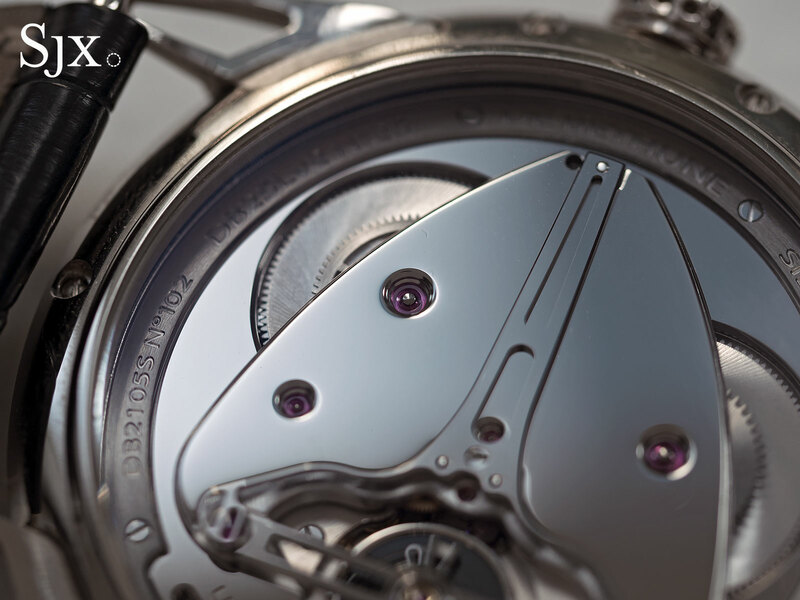 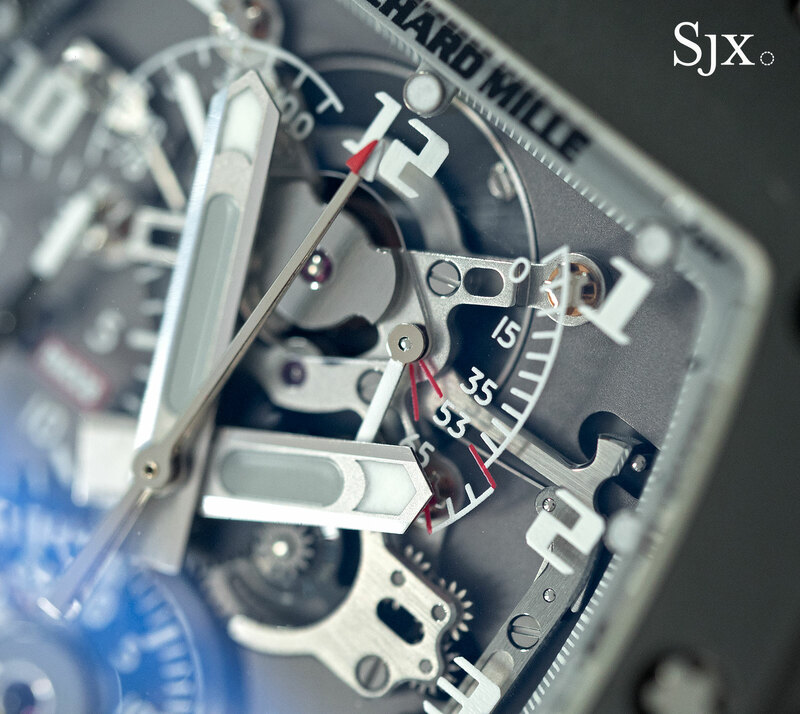 Since he set up shop on Rue Saint Honoré in 1988 – starting out as a Gerald Genta boutique for the first two years – Picciotto has representing nearly all of the crucial labels in avant-garde watchmaking from MB&F to Richard Mille, as well as establishment names like Breguet and Hublot. 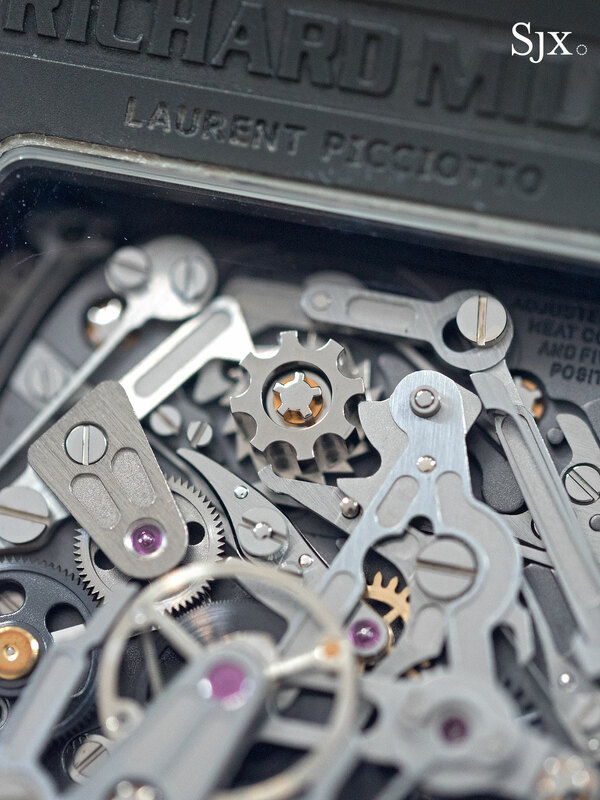 Picciotto managed to become a force in watch retail despite having only a single, compact store – a testament to his inimitable personality. 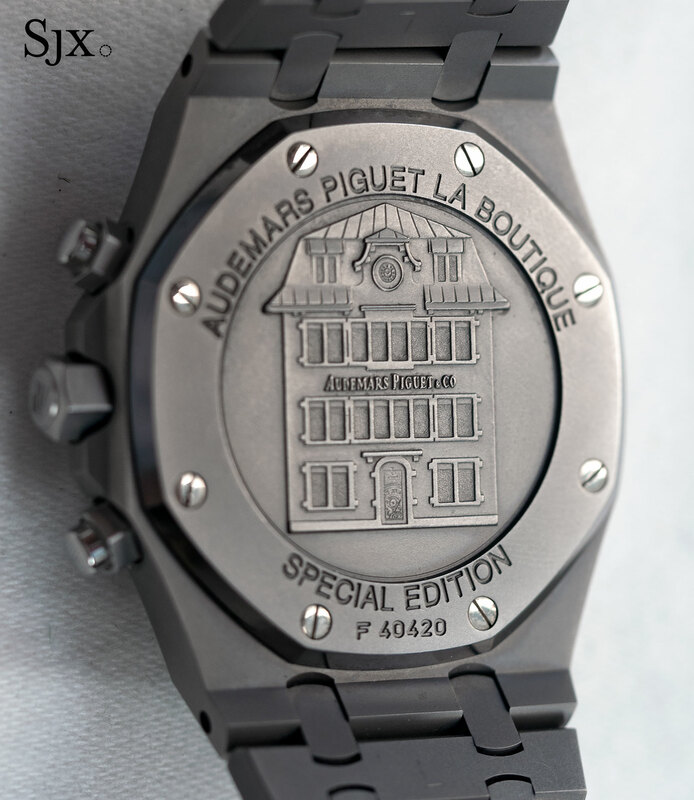 In fact, the first ever Audemars Piguet boutique operated by an independent retailer was set up by Picciotto in 1997. 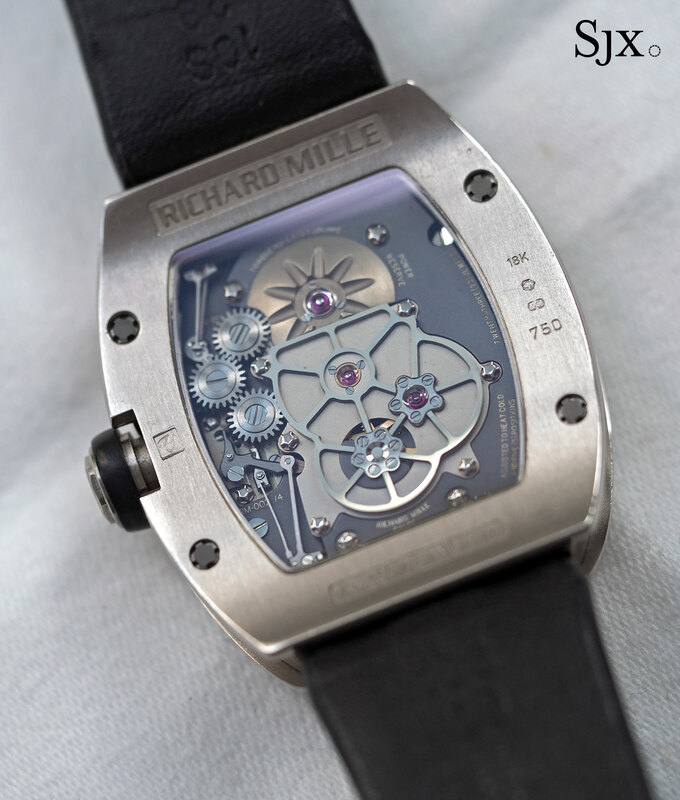 Picciotto even co-founded Richard Mille, having known its eponymous founder while Mille was still president of French jeweller Mauboussin. 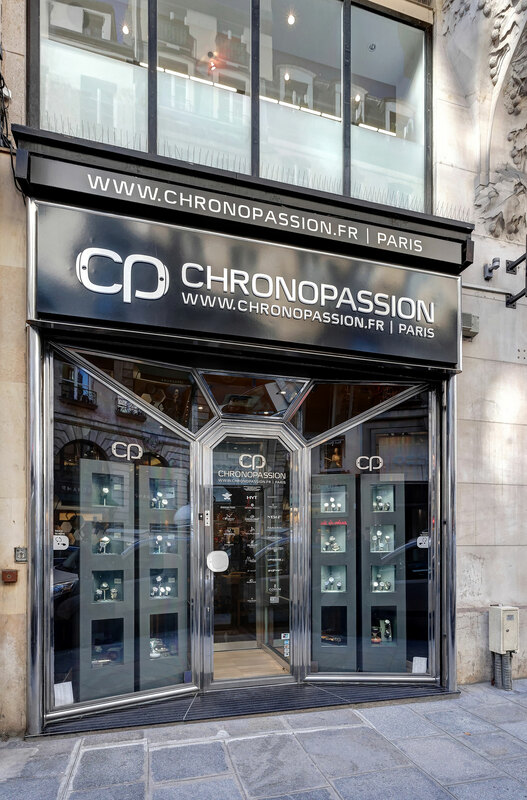 Picciotto recently embarked on a revamp of Chronopassion, gutting the store interior and replacing it in a complete overhaul that is slated for completion in mid May. 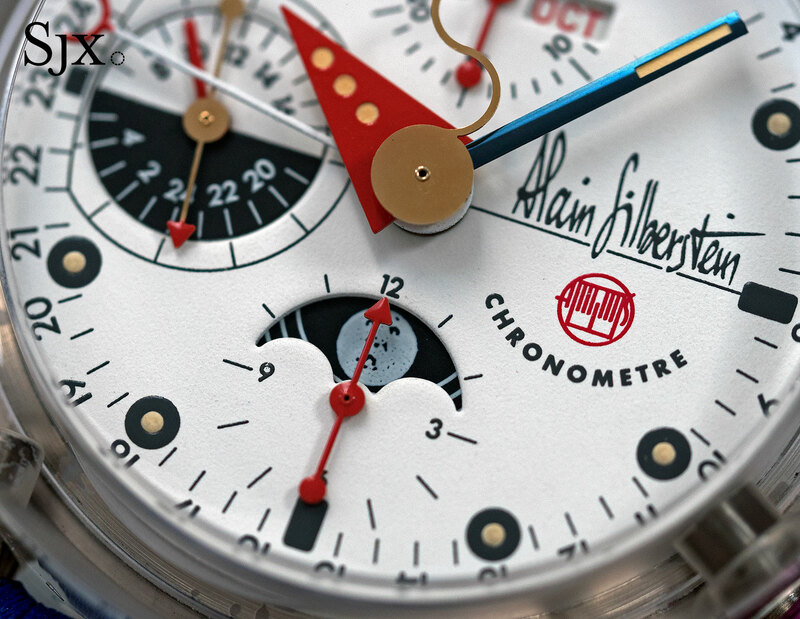 Simultaneously, he is also doing a reboot of his watch collection, putting up much of it for sale at Phillips‘ upcoming Hong Kong watch auction. 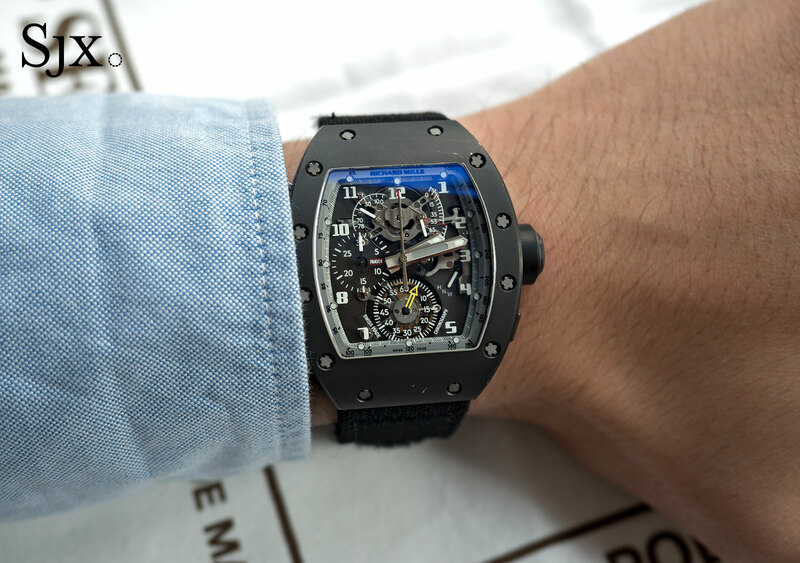 Comprised of 42 watches (lots 991 to 1033), the Picciotto collection includes prime specimens from the brands he championed, including one-off creations from Richard Mille, Urwerk, De Bethune and H. Moser & Cie., as well as Chronopassion editions by Panerai and Audemars Piguet. 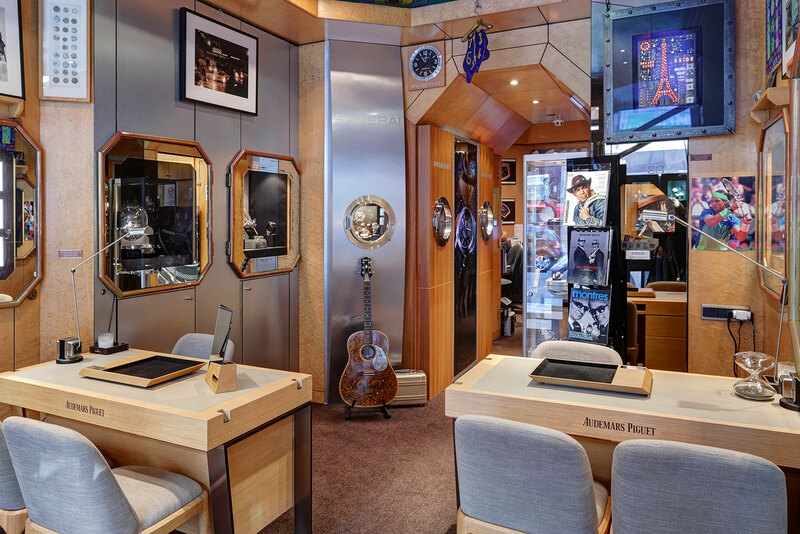 All of the watches from Picciotto’s collection are enhanced by assorted paraphernalia, ranging from signed photos to early sketches and even a guitar and golfballs. 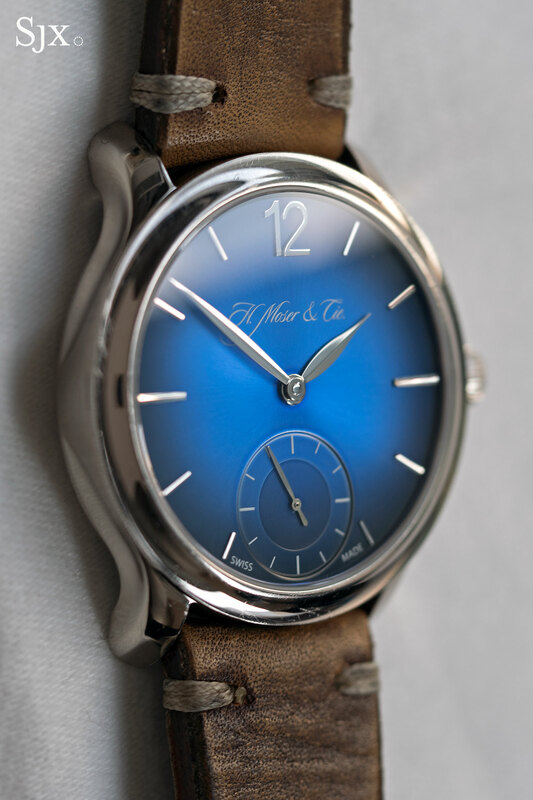 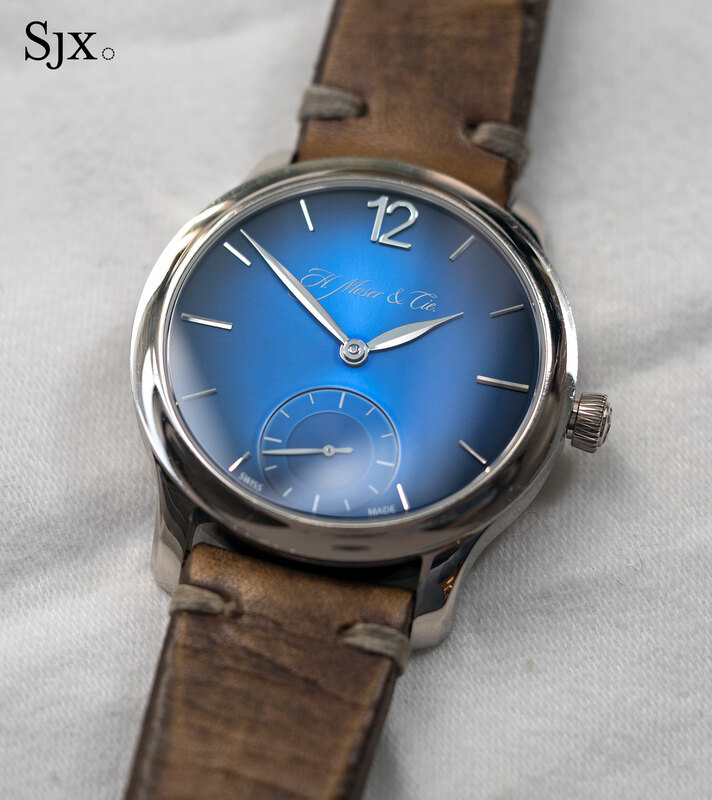 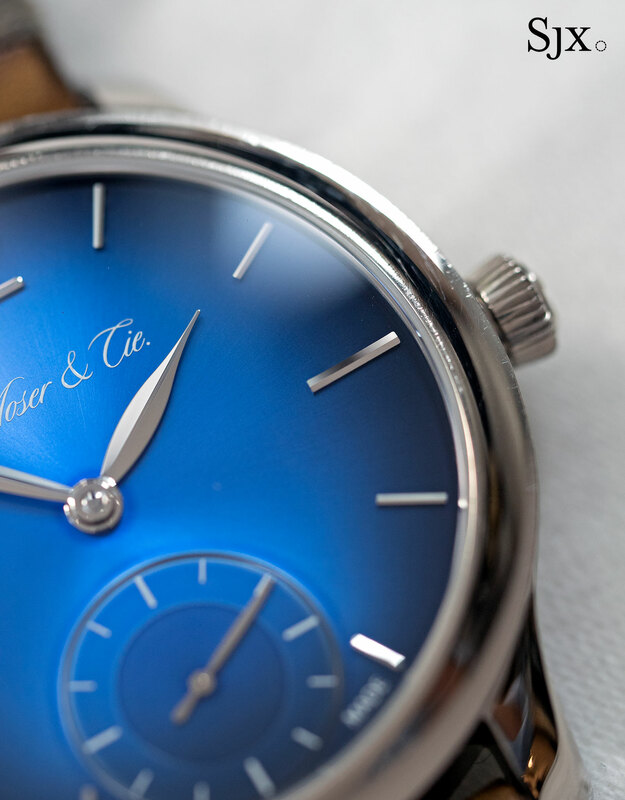 One of a small number of strikingly coloured prototypes produced by Moser when the Meylan family first took over the watchmaker in 2013, this Mayu “Dark Blue Fumé” is a unique piece with a bright, graduated blue dial, being the only one in white gold with this dial. 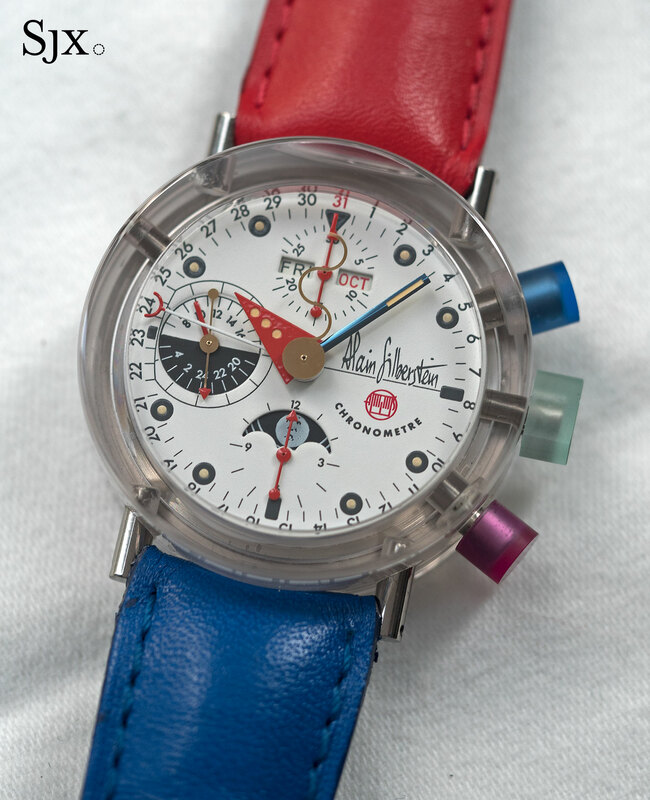 Also equipped with dials in bright red and dark blue, the batch of prototypes were an early hint at the success Moser is now enjoying with the fumé dials available on a variety of models. 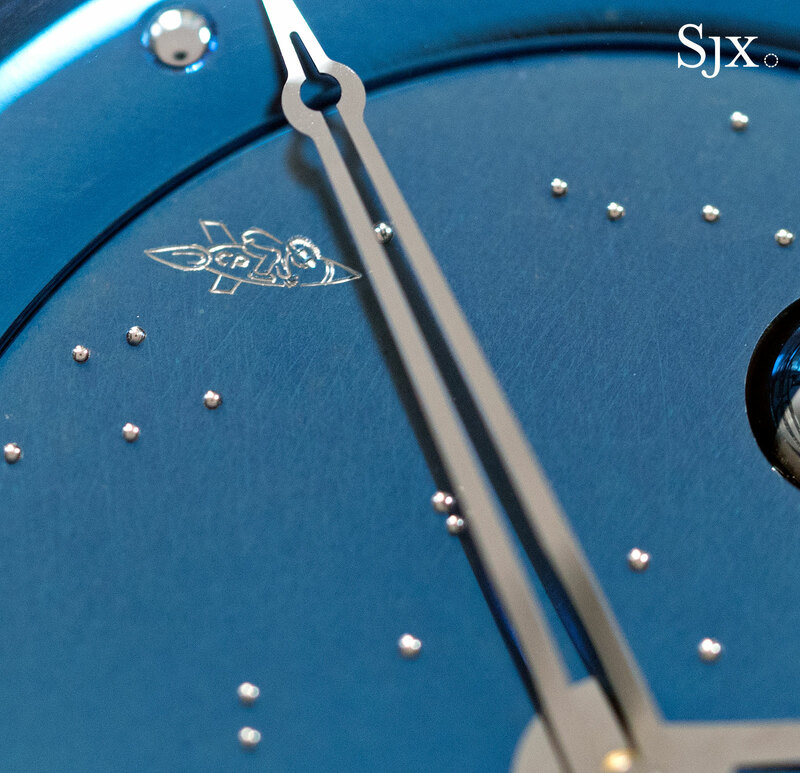 The case is 38.8mm in diameter and marked “Prototype” on the back. 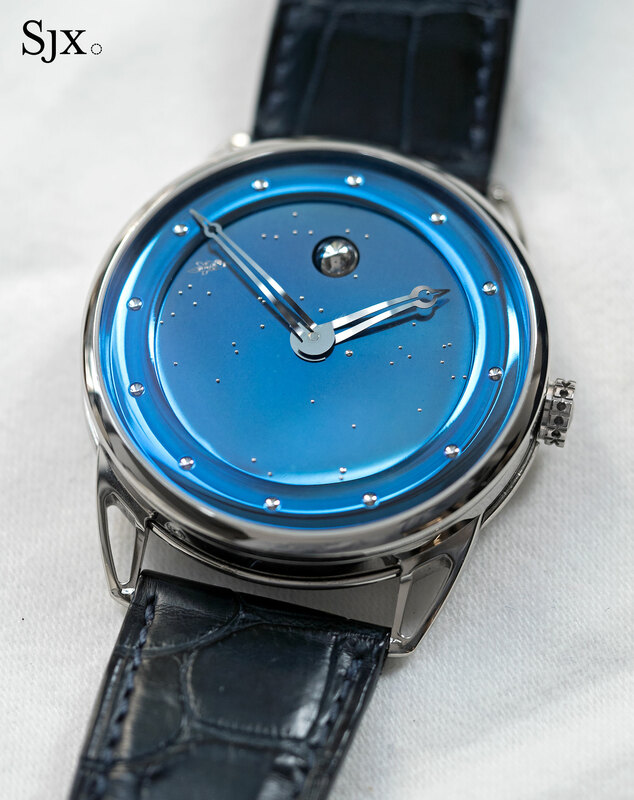 It’s estimated at HK$80,000 to HK$120,000 (US$10,000 to US$15,000). 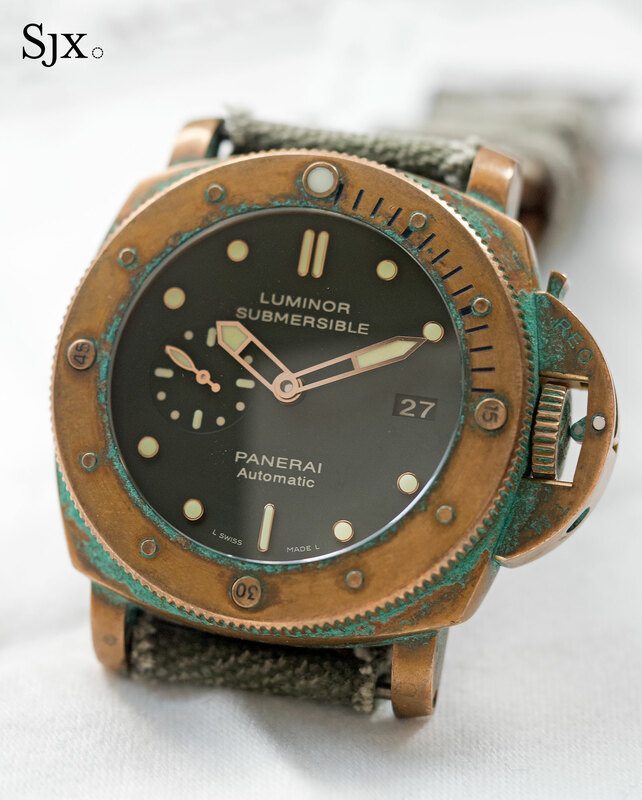 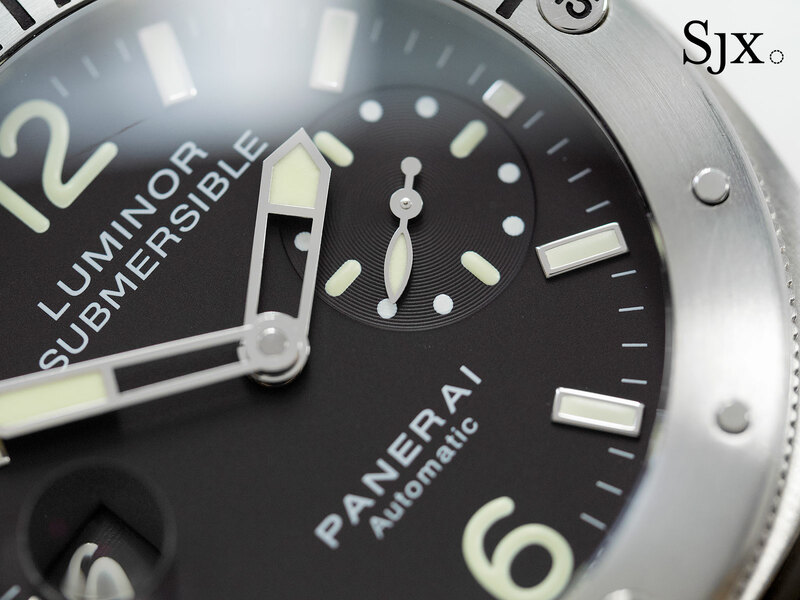 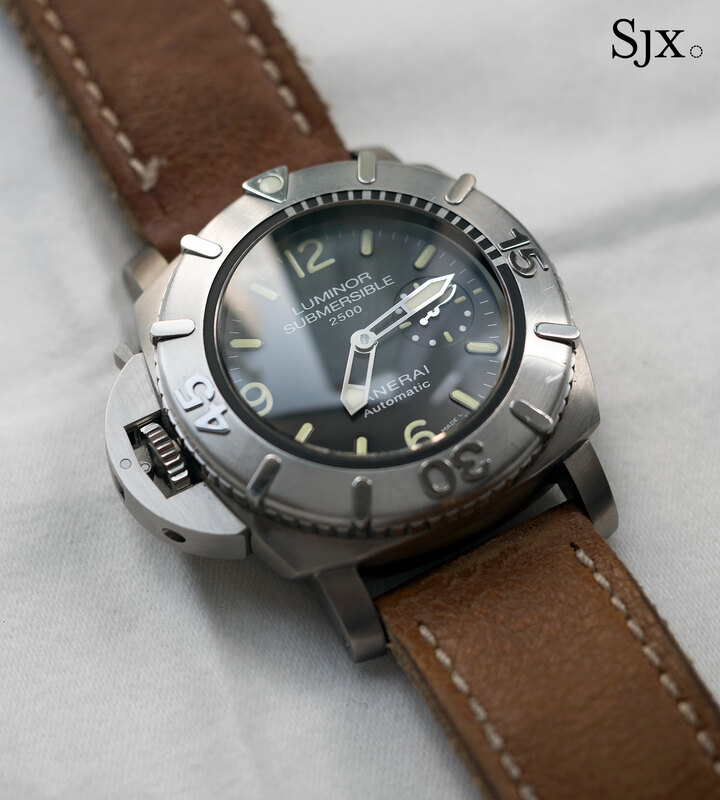 Announced in 2006, at the height of Panerai frenzy, the PAM00239 was the first left-handed Submersible ever made. 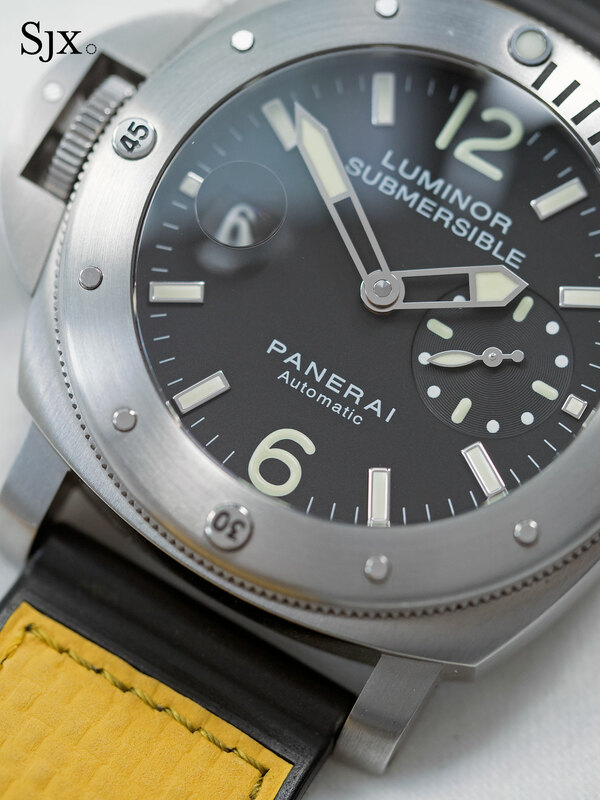 A limited edition of just 75 pieces, the PAM 239 created a queue outside the doors of Chronopassion, with fanatics all trying to lay their hands on one. 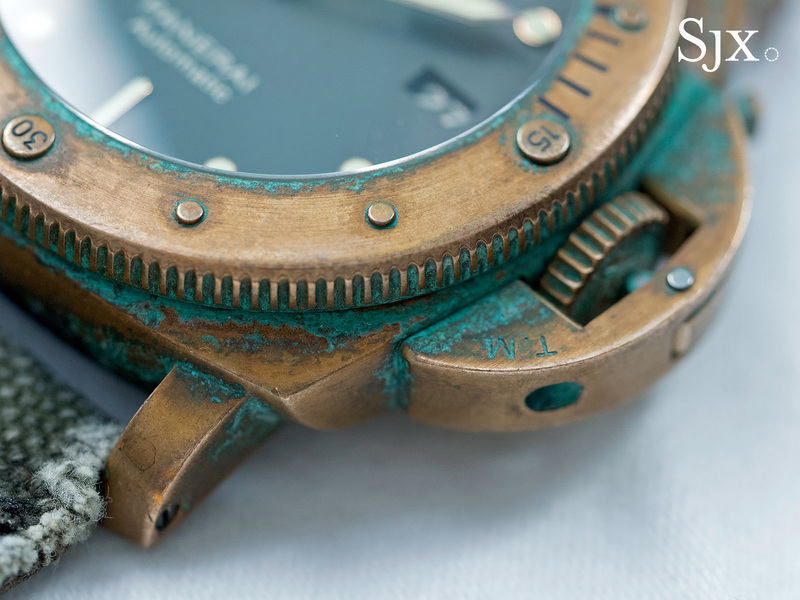 Showing only minor signs of wear, this is Picciotto’s own watch, numbered “1” of 75 naturally, and comes with all accessories, including a framed sketch of the design. 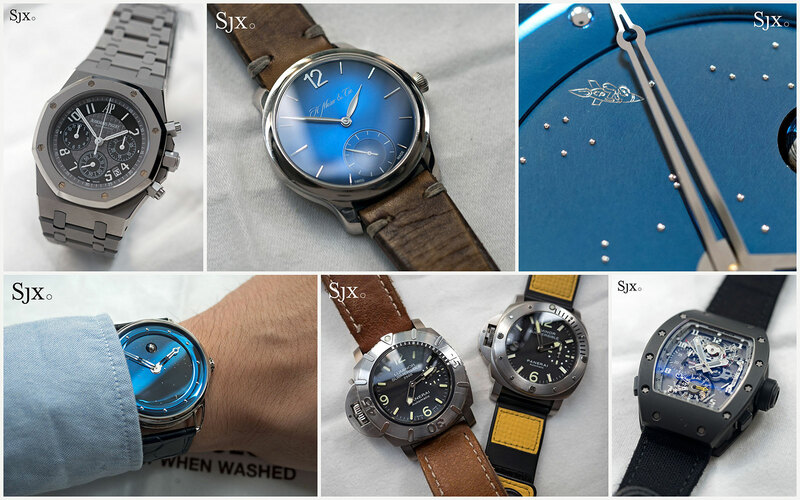 The estimate is HK$40,000 to HK$60,000 (US$5000 to US$7500). 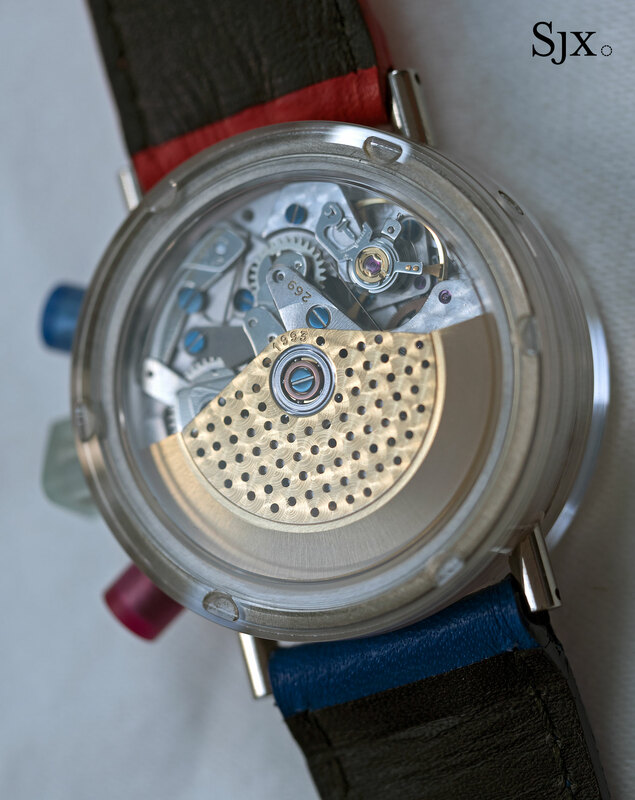 Three years after the first “Destro”, Picciotto unveiled the second one, even bigger and badder than the first. 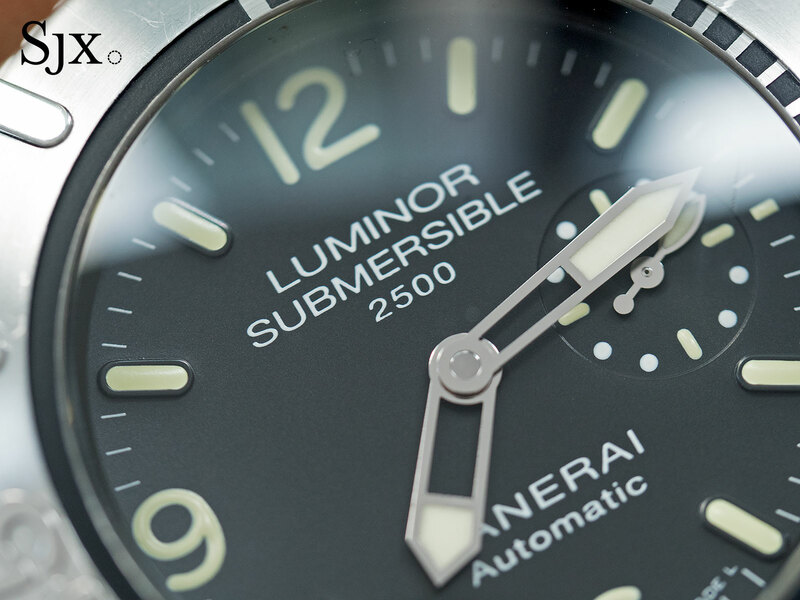 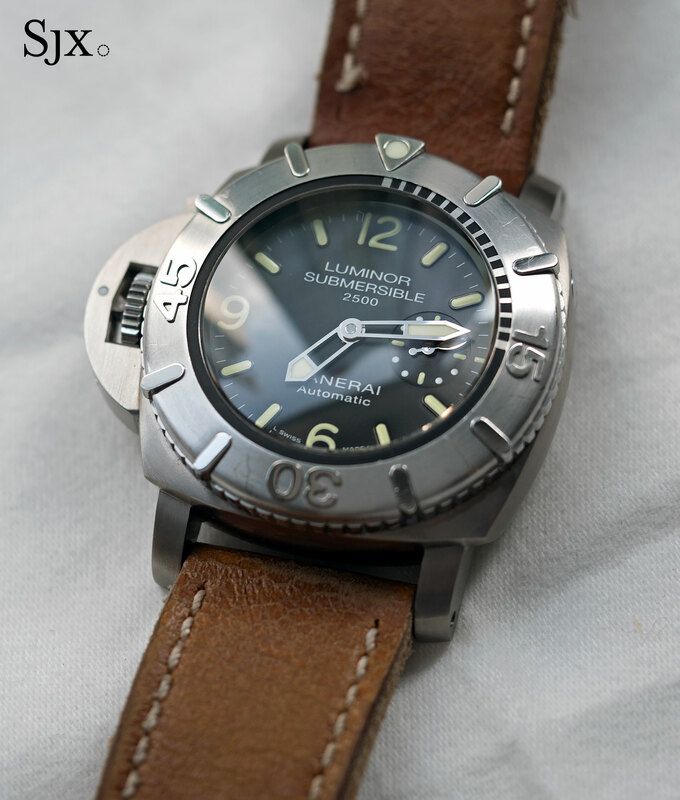 The PAM00358 was rated to 2500m, 47mm in diameter, and limited to 100 pieces. 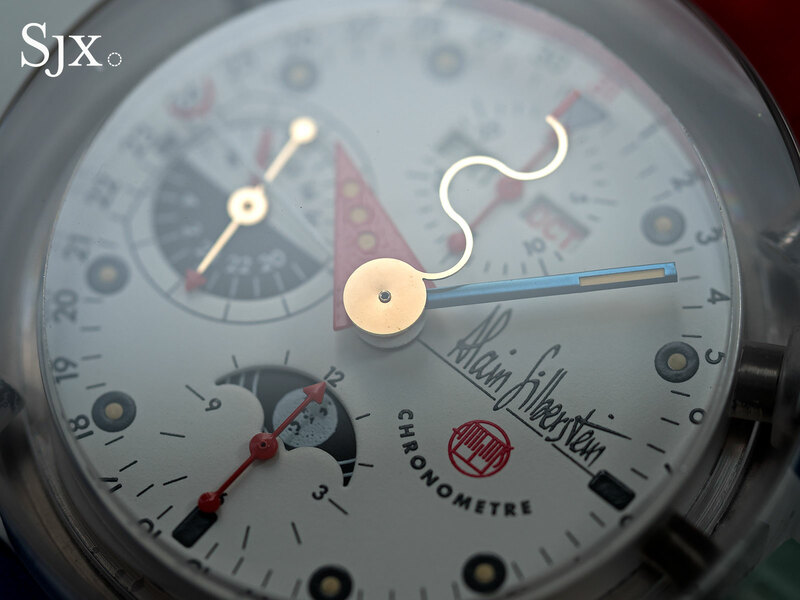 Fifty units were delivered to Chronopassion in one batch – and all 50 sold within the same day. 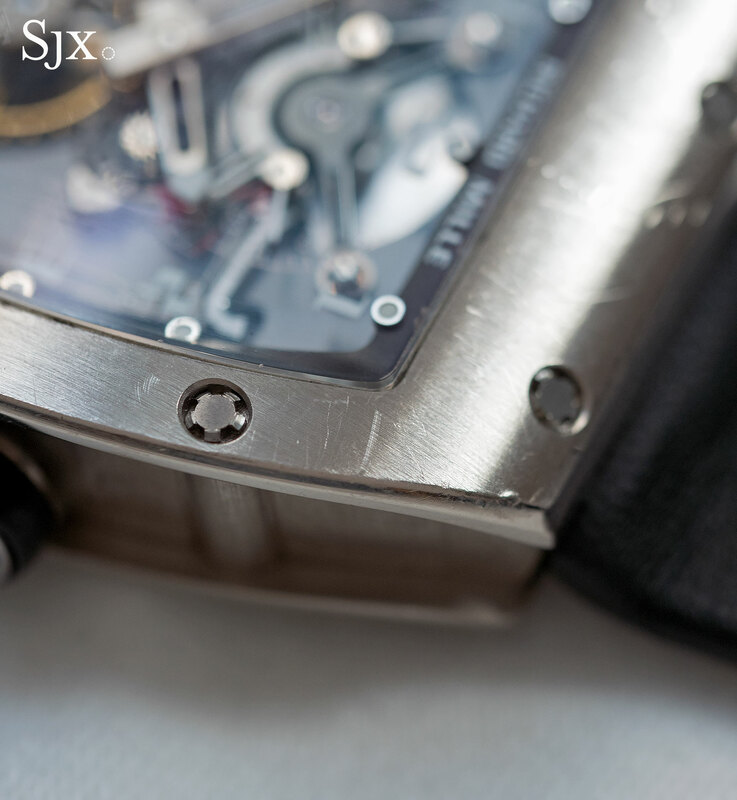 This is also no. 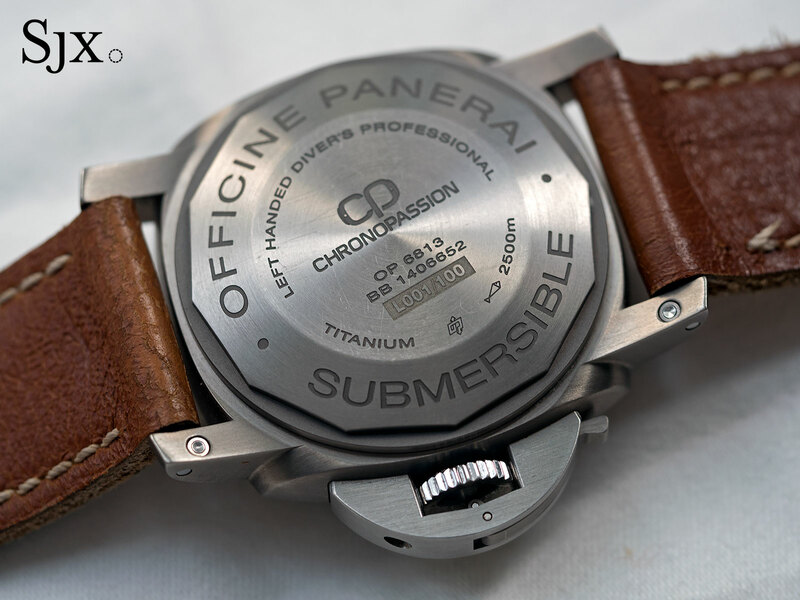 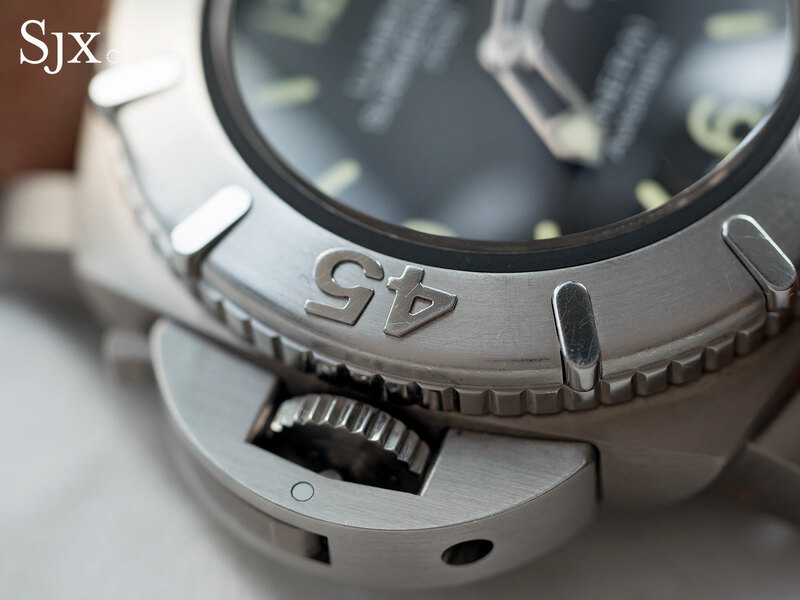 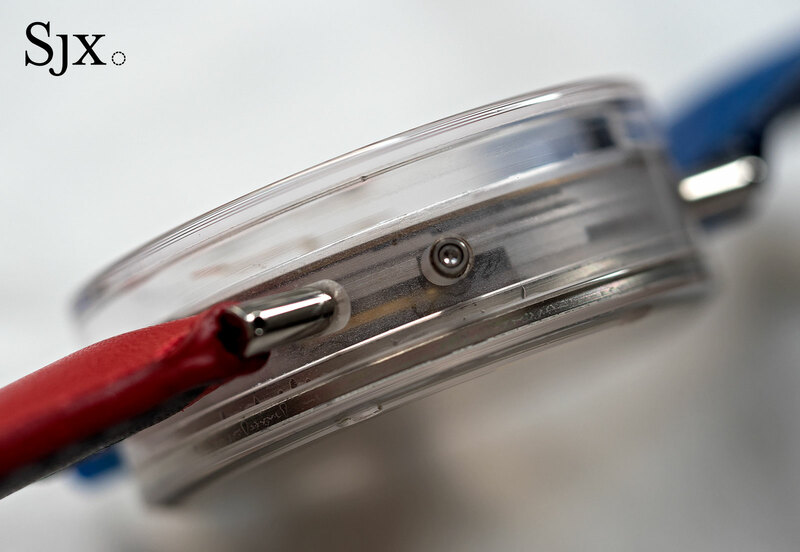 1/100 and is accompanied by a submersible model as well as Piciottio’s photograph of the first 50 watches delivered massed on a watchmaker’s bench. 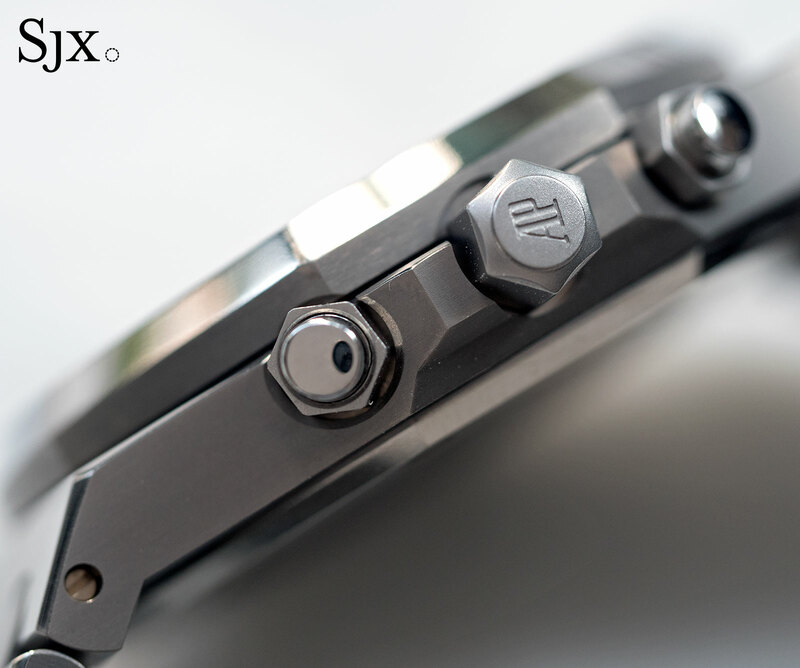 It carries an estimate of HK$40,000 to HK$56,000 (US$5000 to US$7000). 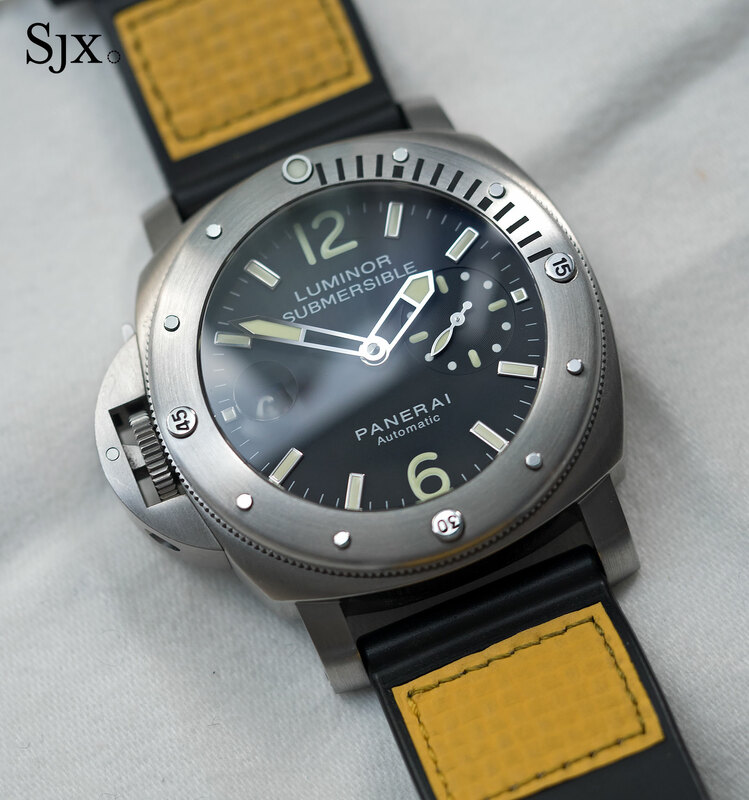 Picciotto wore his watches as they were meant to be, regardless of how rare or valuable they were, a quality exemplified by the Panerai Bronzo – the very watch we featured in 2012. 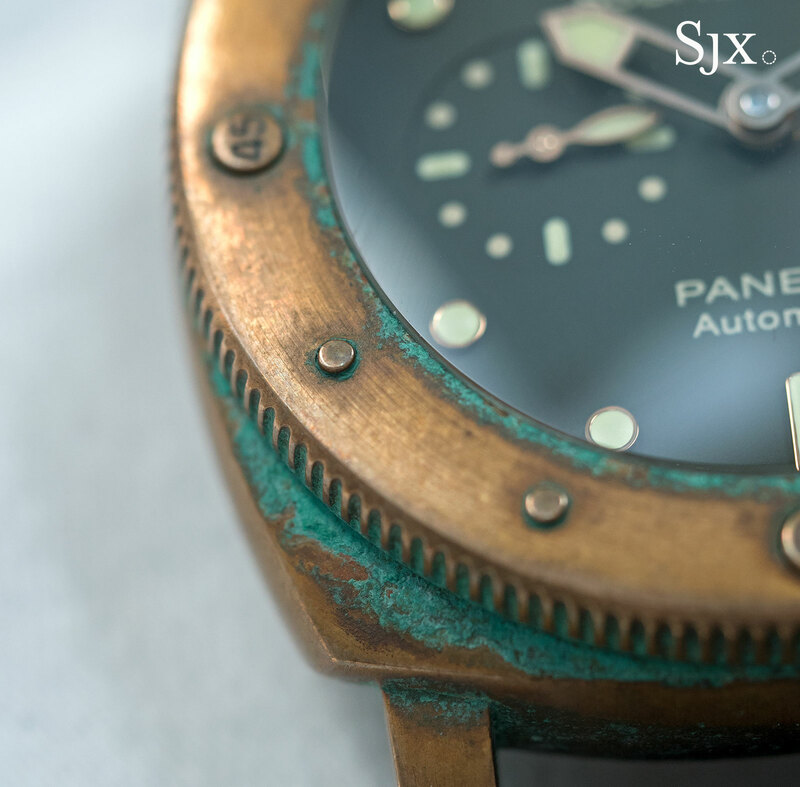 The bronze case is covered in an exceptionally heavy patina, the result of surface oxidisation of the alloy. 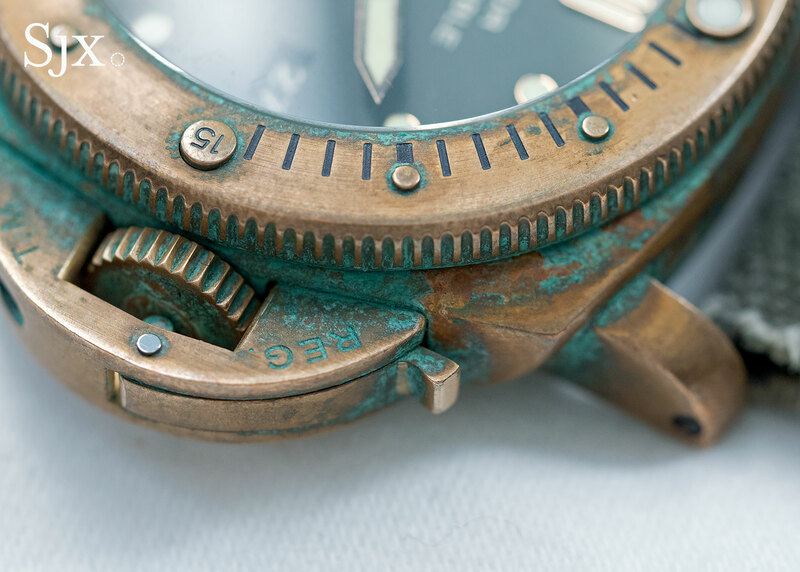 While the look and feel is no doubt an acquired taste, this Bronzo feels authentic. 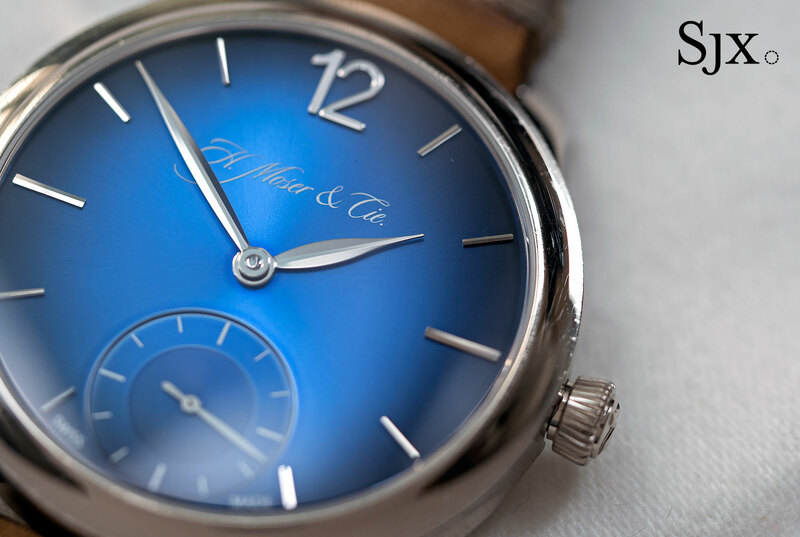 It’s estimated at HK$120,000 to HK$200,000 (US$15,000 to US$25,000). 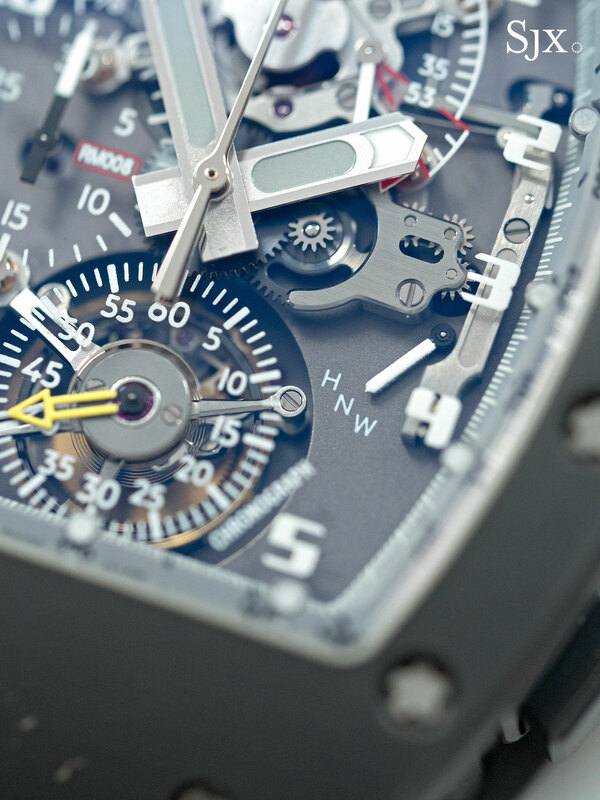 Back in the 1990s, brand boutiques were a rarity. 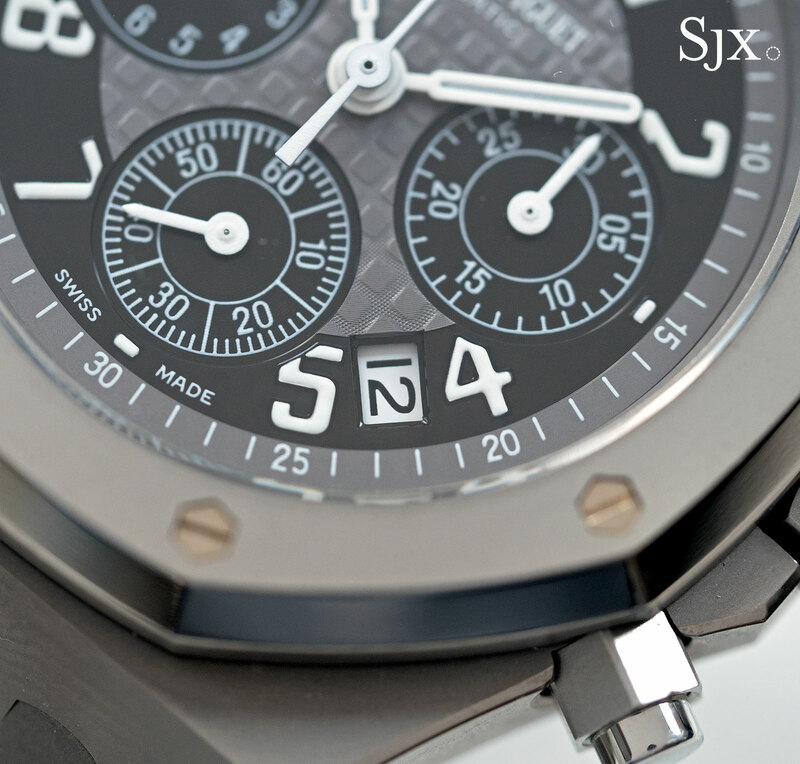 Audemars Piguet only had one in Geneva, which it owned and operated. 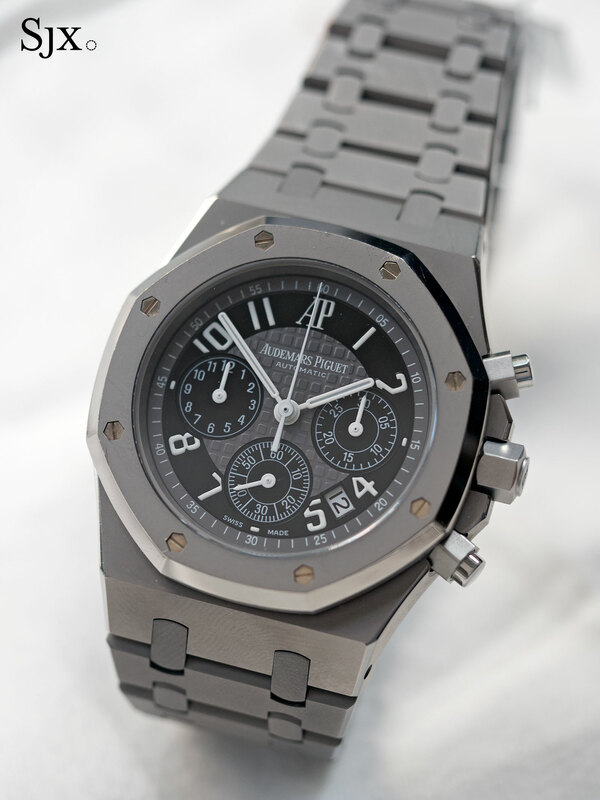 Laurent Picciotto opened the second ever Audemars Piguet boutique in 1997, running it for a decade before handing it back to the watchmaker. 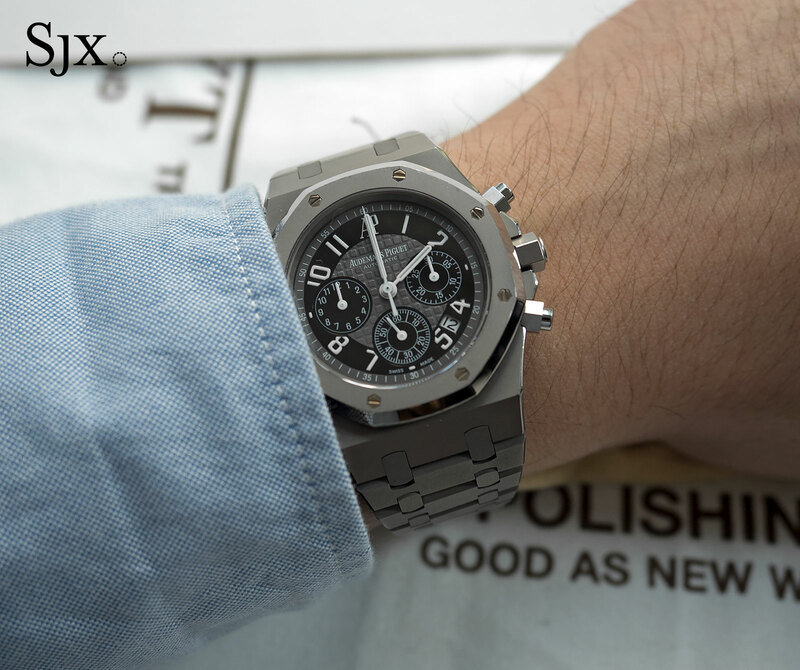 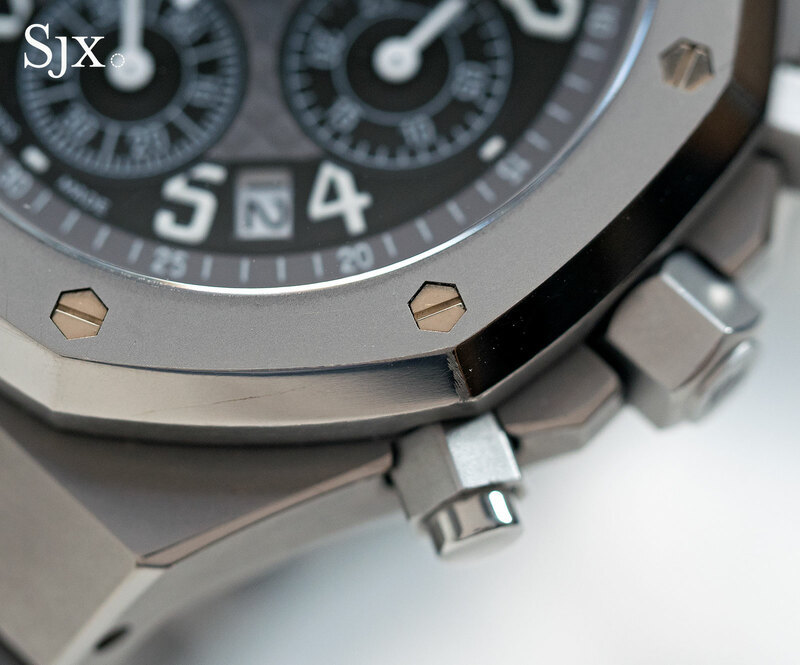 In 2005 Picciotto worked with Audemars Piguet to create the Royal Oak Chronograph La Boutique Paris, with the 39mm case and bracelet in sandblasted titanium, the first Audemars Piguet wristwatch with a frosted case finish. 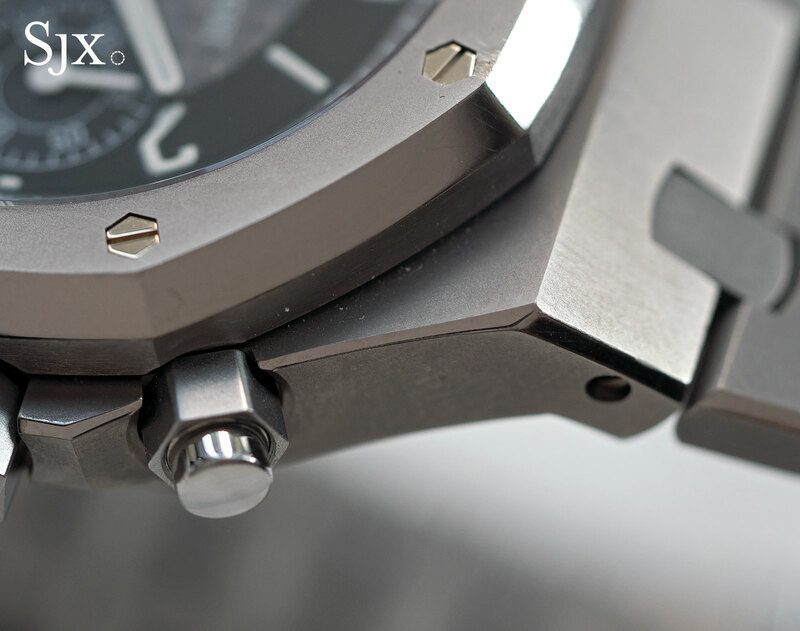 While the flat surfaces of the case are sandblasted, the edges still feature the characteristic polished bevel of the Royal Oak case. 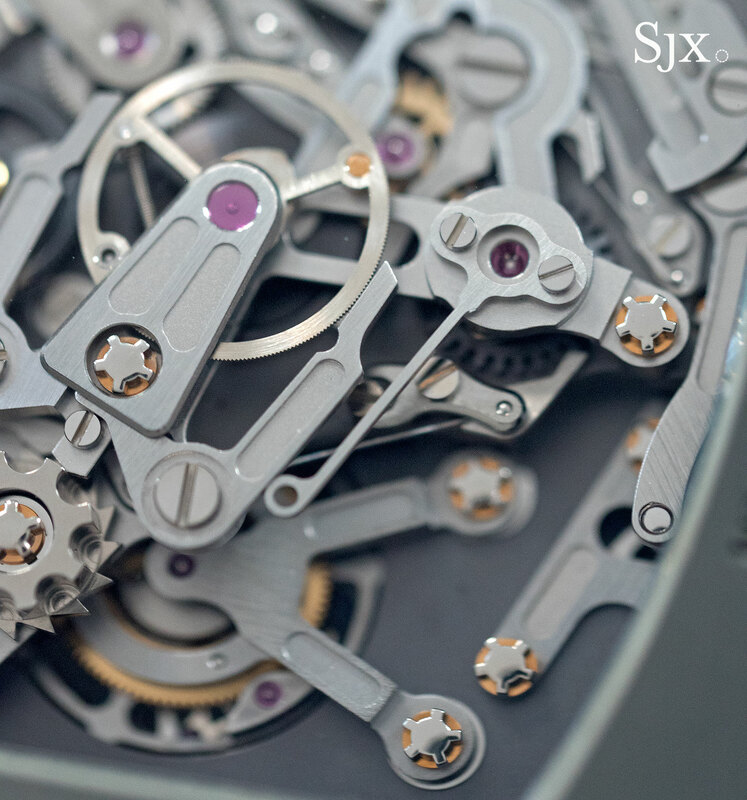 Picciotto even put together a titanium bracelet made of links from the watch bracelet, which accompanies this lot. 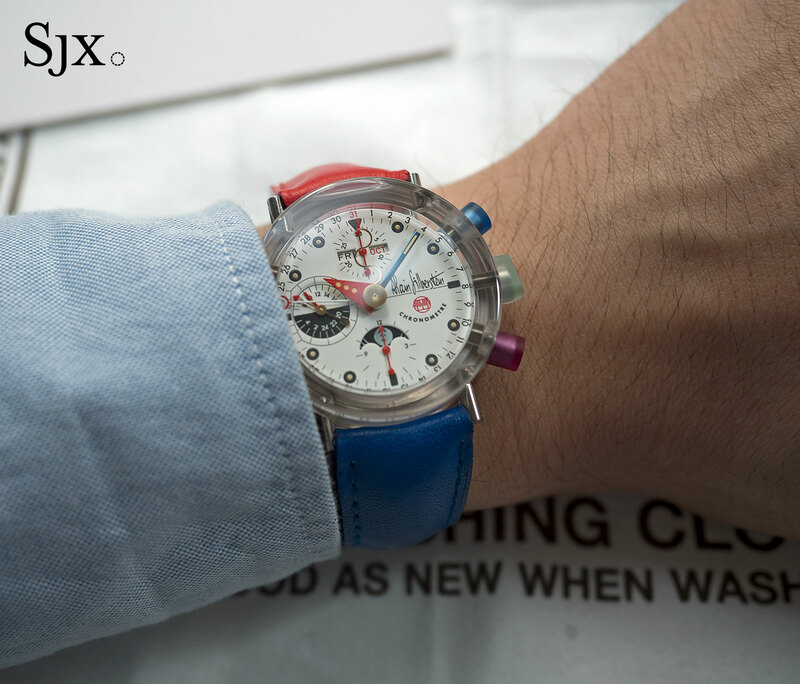 The estimate is HK$120,000 to HK$180,000 (US$15,000 to US$23,000). 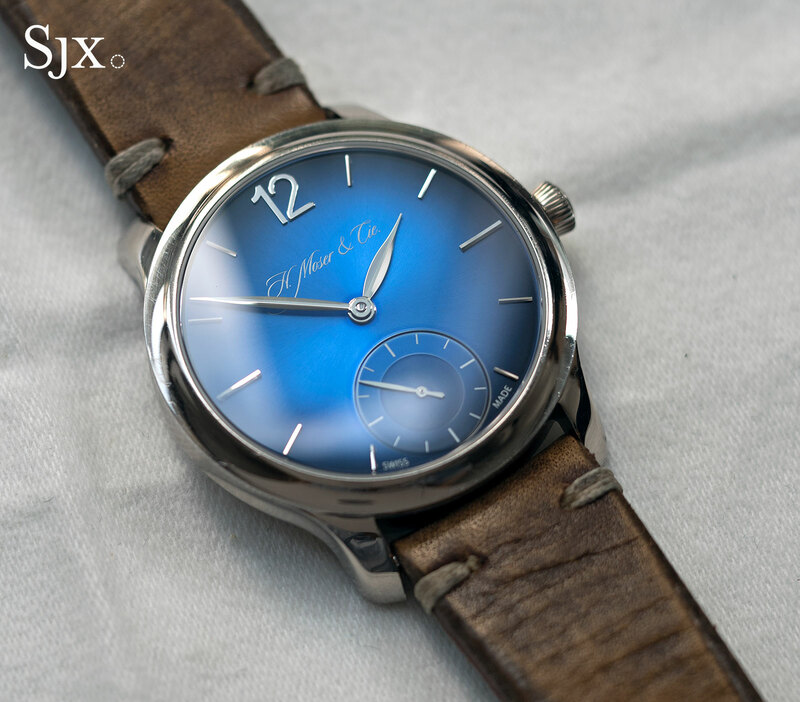 Sapphire case watches are all the rage today, and typically retail for six figures and up. 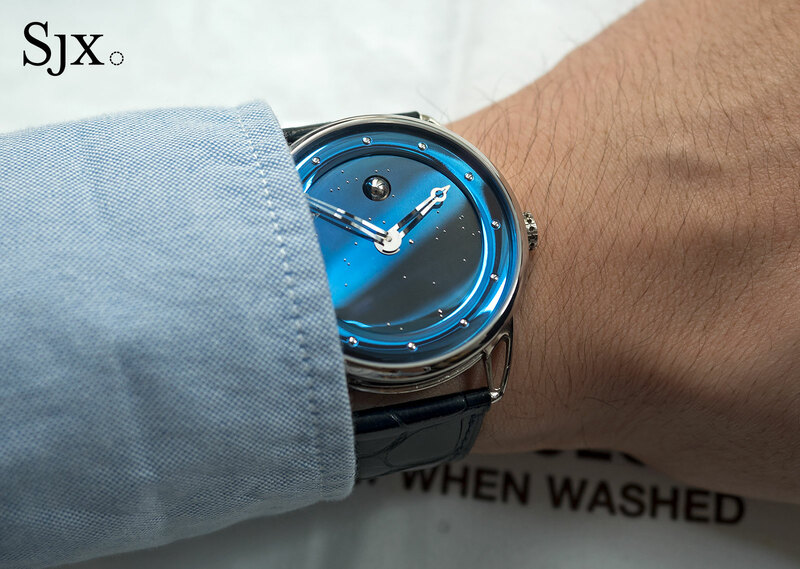 But the first sapphire case wristwatch actually came to market 24 years ago, when Alain Silberstein presented the Krono Saphir in 1993. 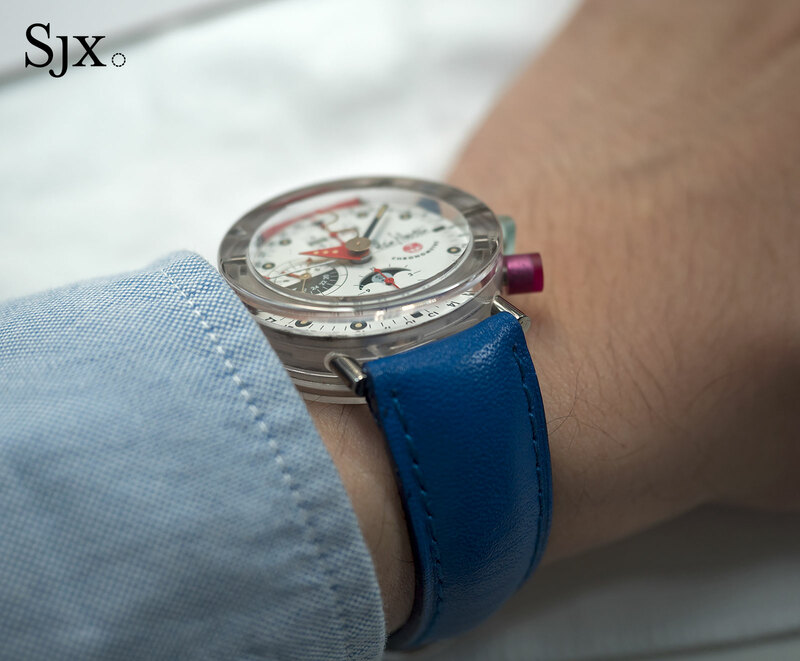 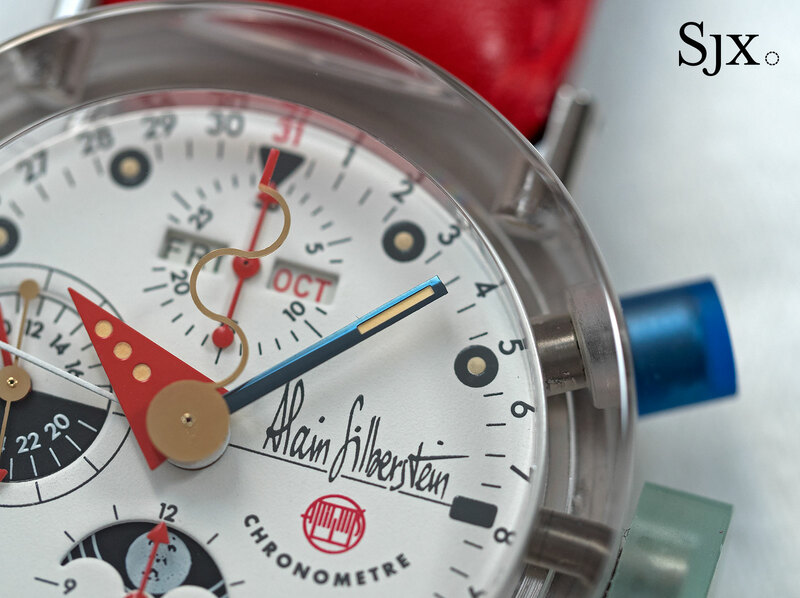 The 38mm sapphire case is cylindrical with tubular steel lugs, the signature form of the brand. 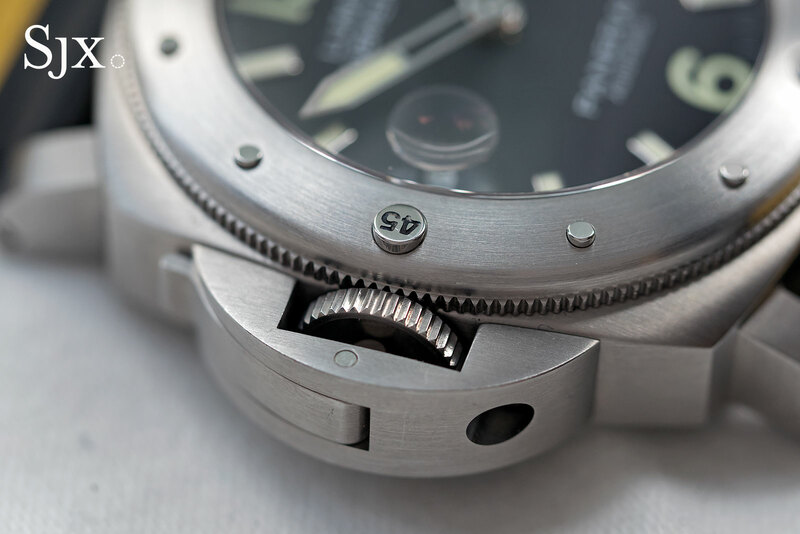 The triple calendar chronograph Valjoux movement inside sits inside a steel inner case; the sapphire back screws onto this inner case. 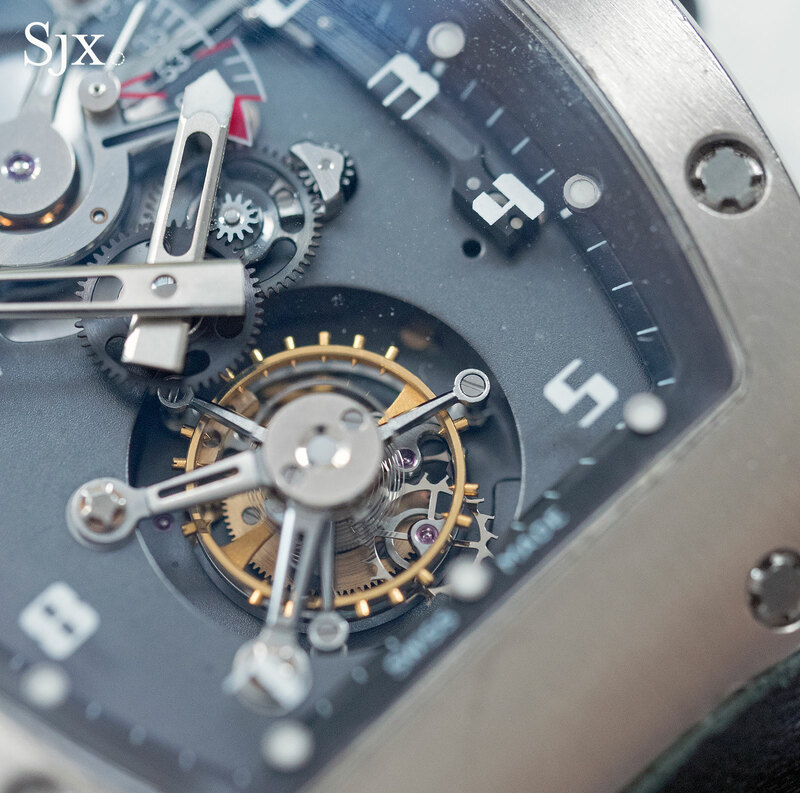 This is estimated to HK$64,000 to HK$96,000 (US$8000 to US$12,000). 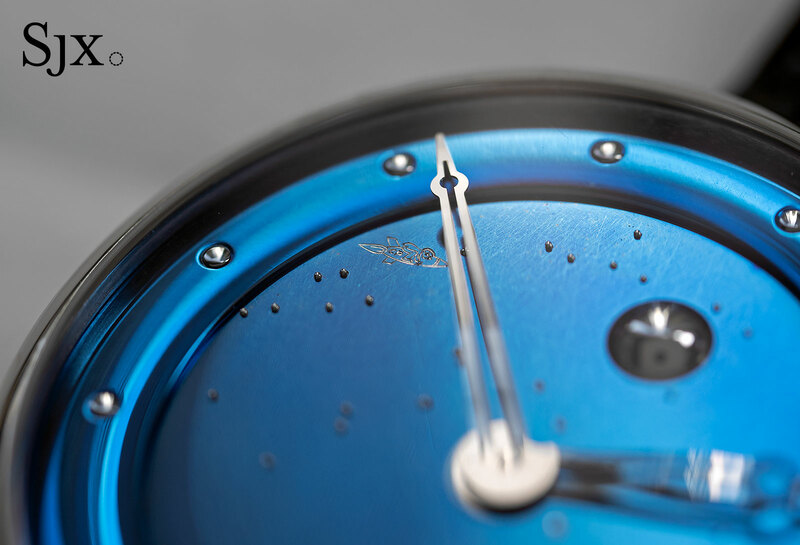 De Bethune’s signature is a brilliant, blued titanium dial – here customised for Laurent Picciotto. 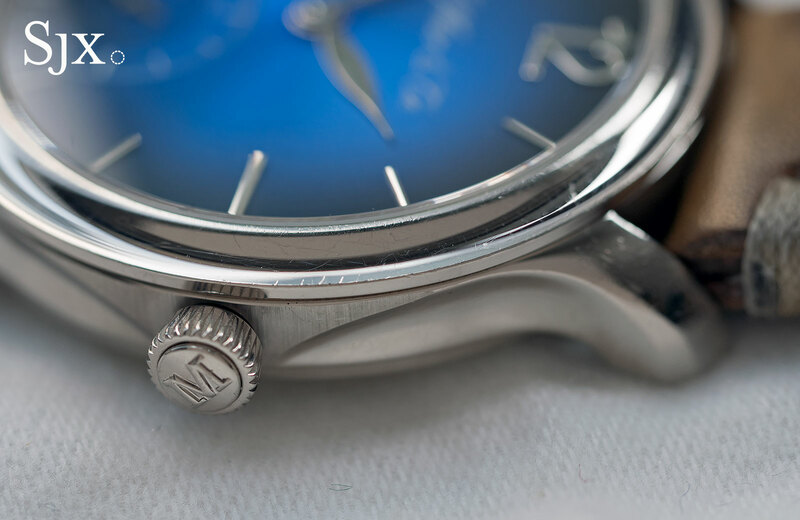 The white gold spheres embedded into the dial form the night sky as seen from Picciotto’s hometown, with a tiny figure representing the retailer riding a rocket into space engraved at 10 o’clock. 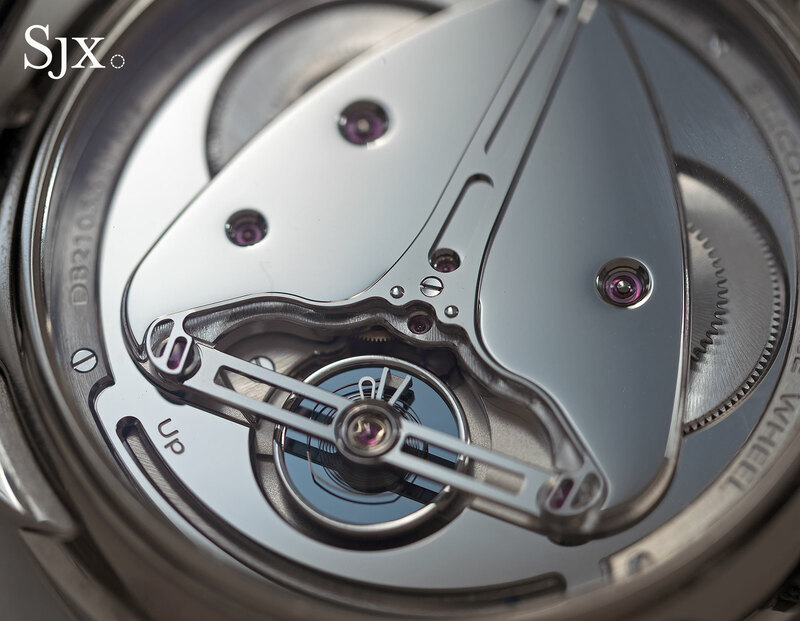 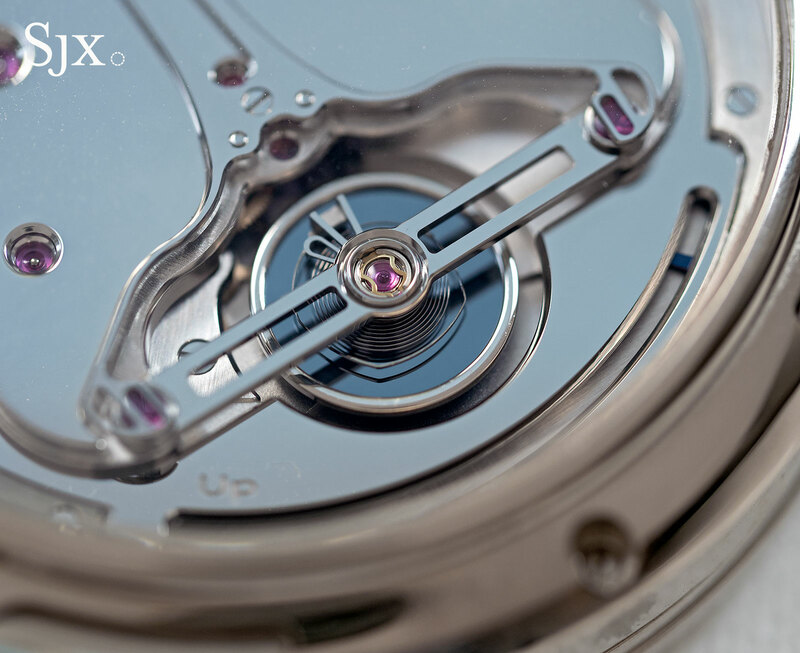 Dating from 2010, this DB25L has a 44.5mm white gold case with the DB2105V1 movement inside. 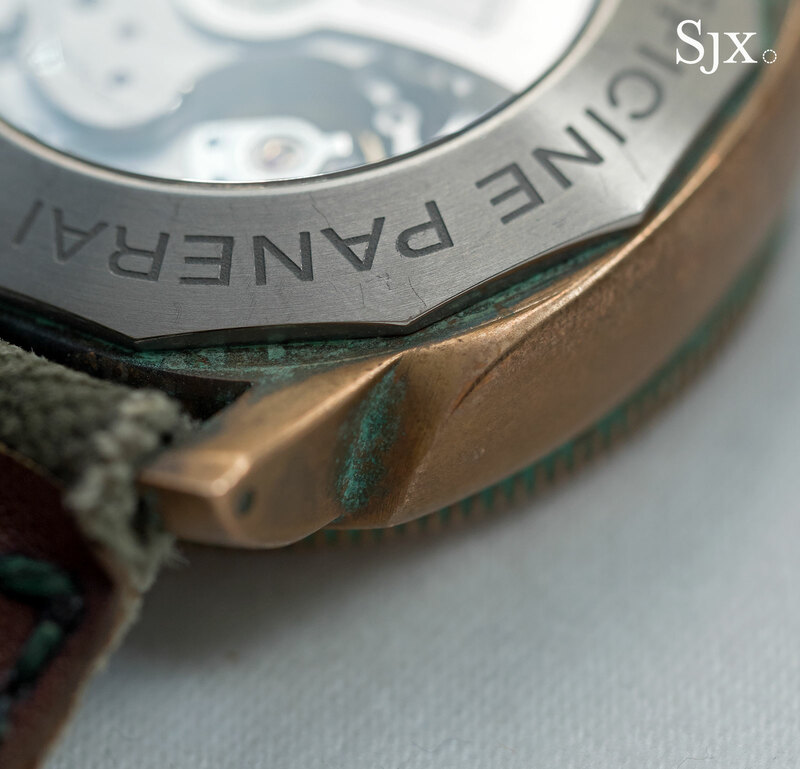 It’s hand-wound with a six-day power reserve and a polished finished on the bridges and base plate. 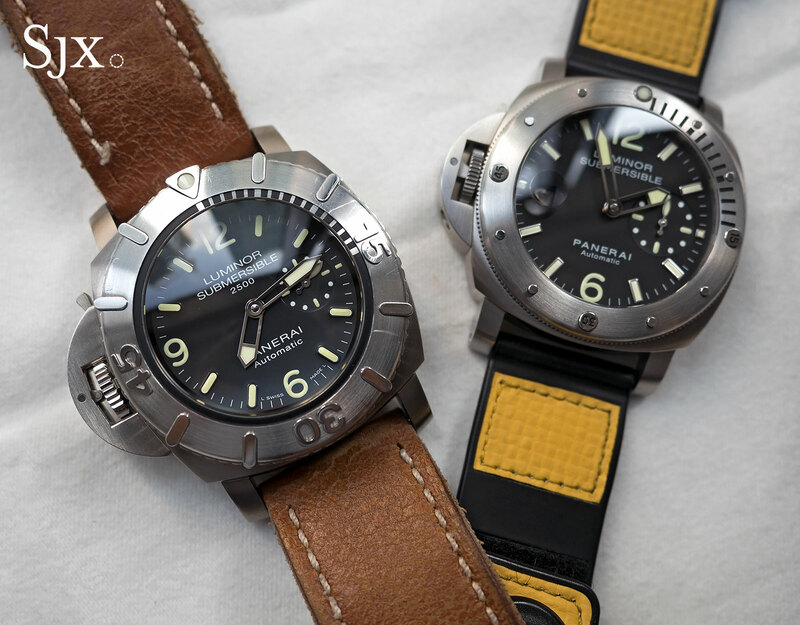 The estimate is HK$200,000 to HK$280,000 (US$25,000 to US$35,000). 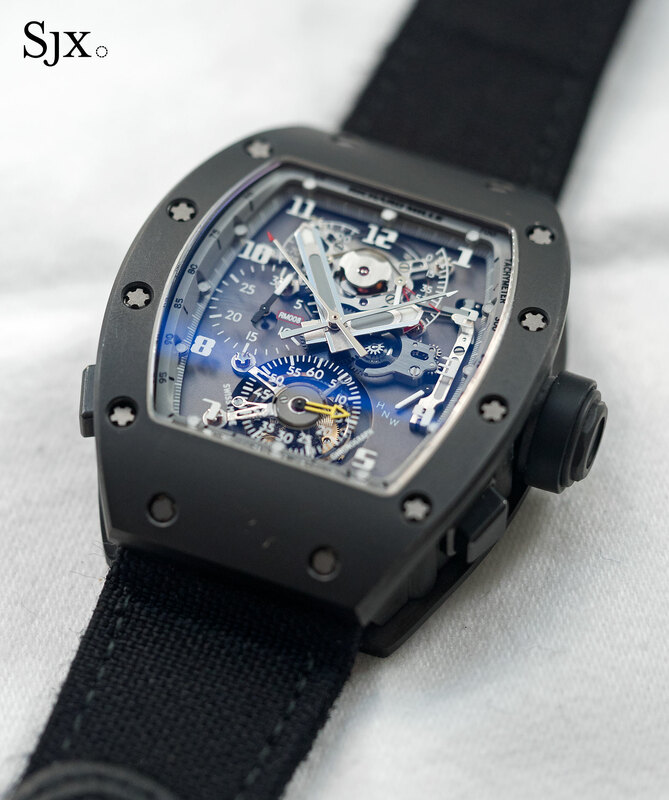 Richard Mille was founded in 1999 by Mille, Picciotto and movement specialist Renaud & Papi. 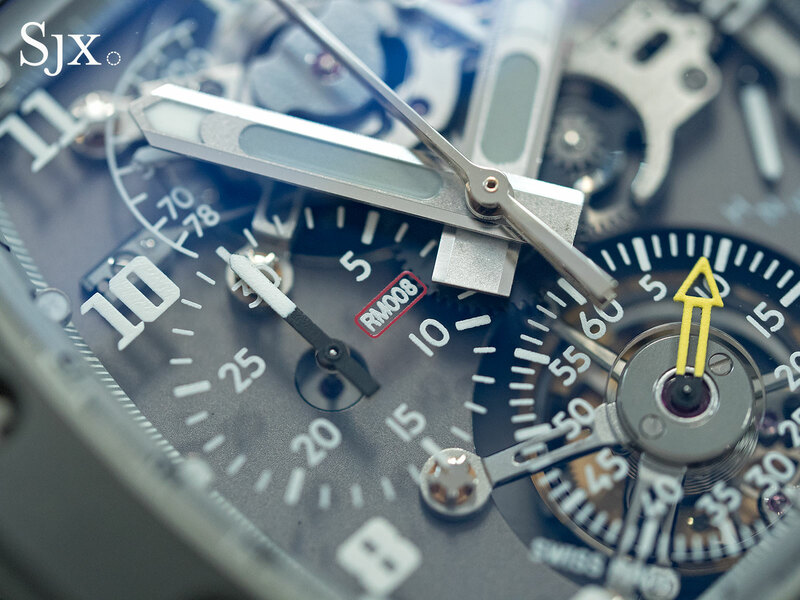 The brand made its debut at Baselworld 2000 with the RM 001, and this particular RM 001-V1 is one of the first ever made, being number 11 of just 17 examples of the RM 001 produced. 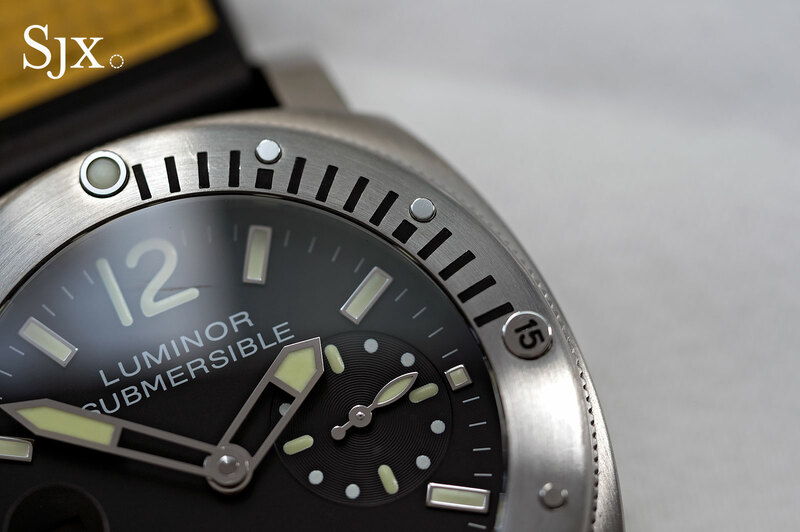 Additionally, this is the first generation RM 001, hence the “V1” suffix, featuring a black-coated brass base plate that was subsequently replaced with a marbled carbon composite base plate (leading to the “V2” appellation). 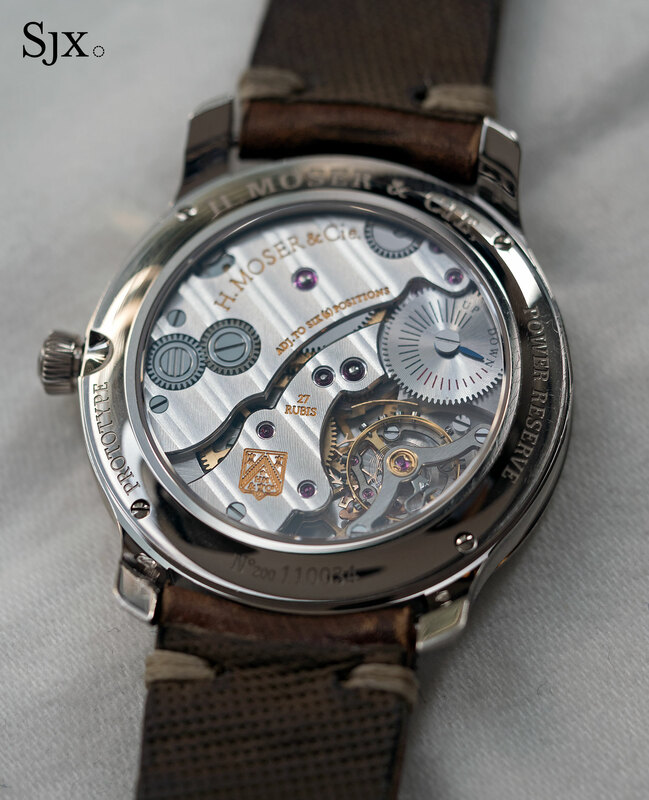 The case is 38mm wide, white gold and endearingly well worn. 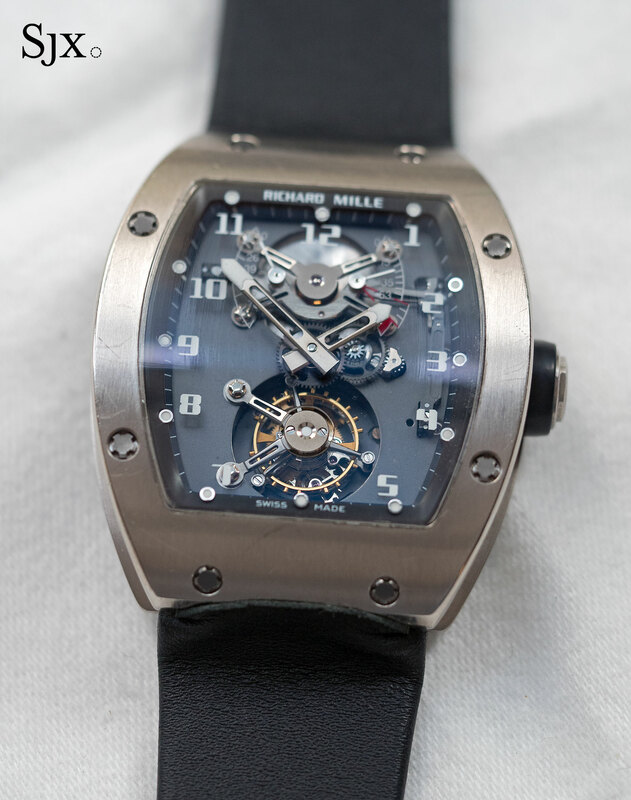 While modern day Richard Mille watches are flashier and fancier, this RM 001-V1 is significant in the history of the brand. 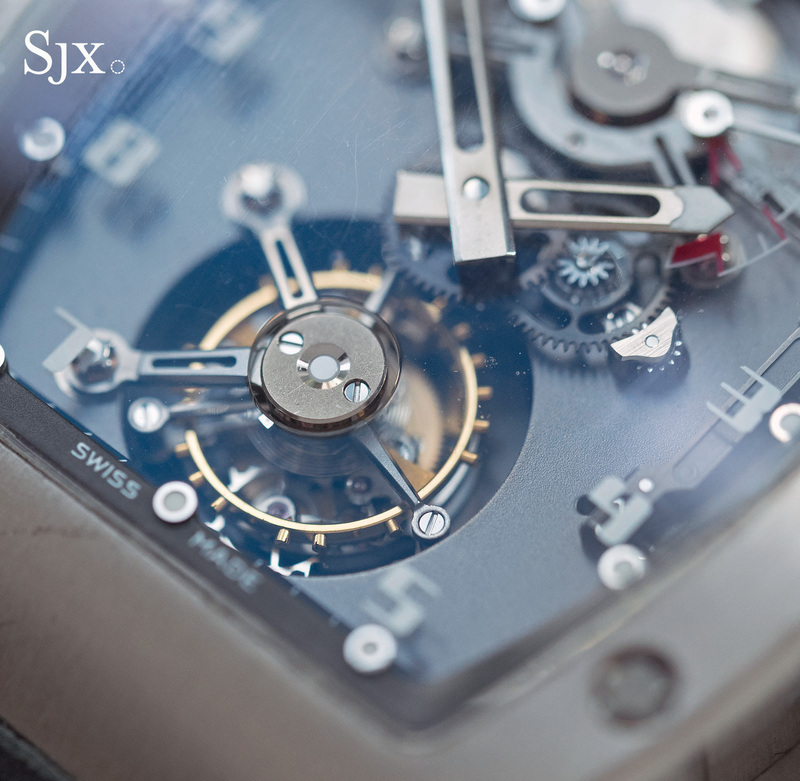 It is estimated at HK$1.2m to HK$2m (US$150,000 to US$250,000). 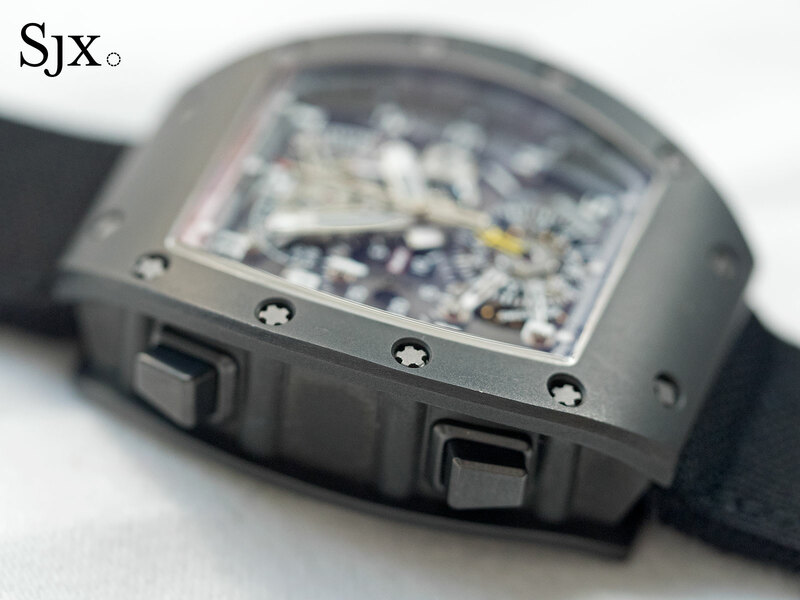 Created for Picciotto with his name on the case back, this RM 008 is a one-off with a dark grey DLC-coated titanium case. 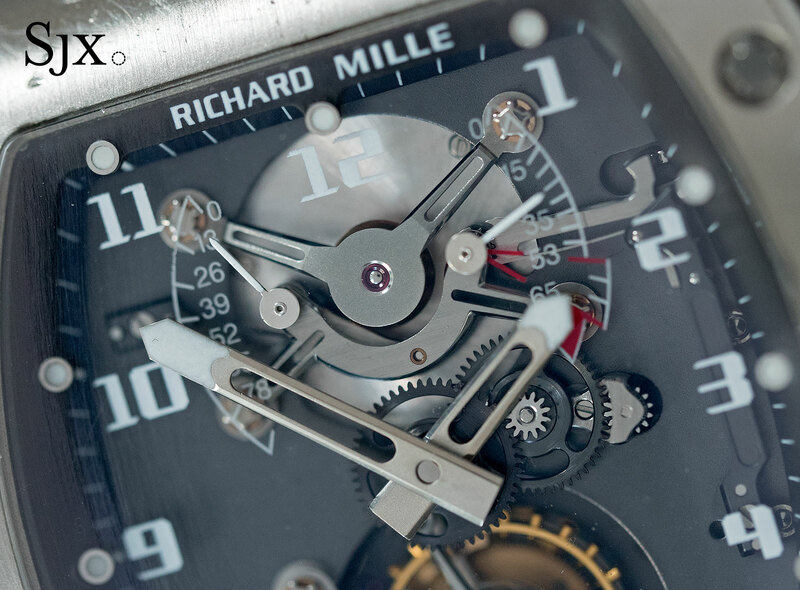 It’s powered by a hand-wound, split-seconds chronograph movement made by Renaud & Papi, one of the most complicated movements ever installed in a Richard Mille. 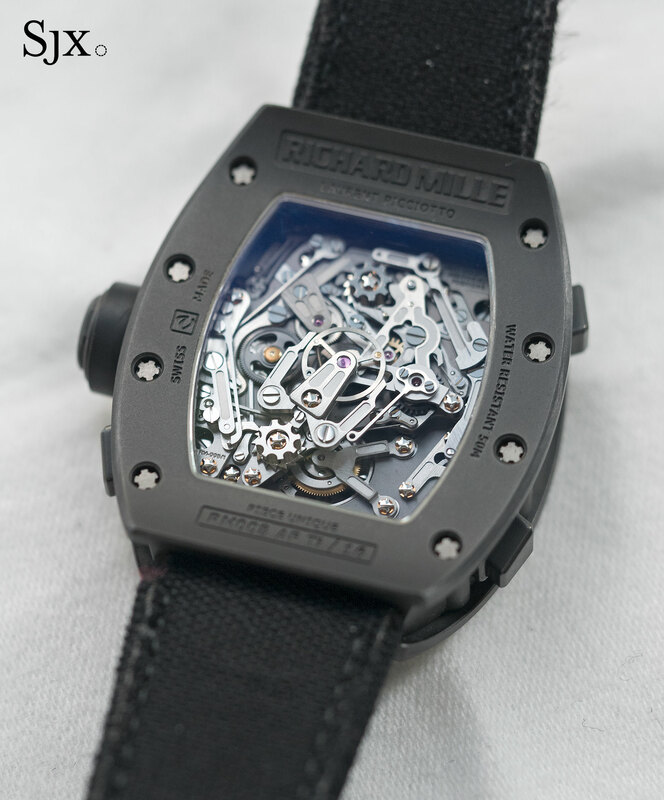 Notably, this is packaged with a Richard Mille-branded guitar; Picciotto has been playing the instrument since his teens. 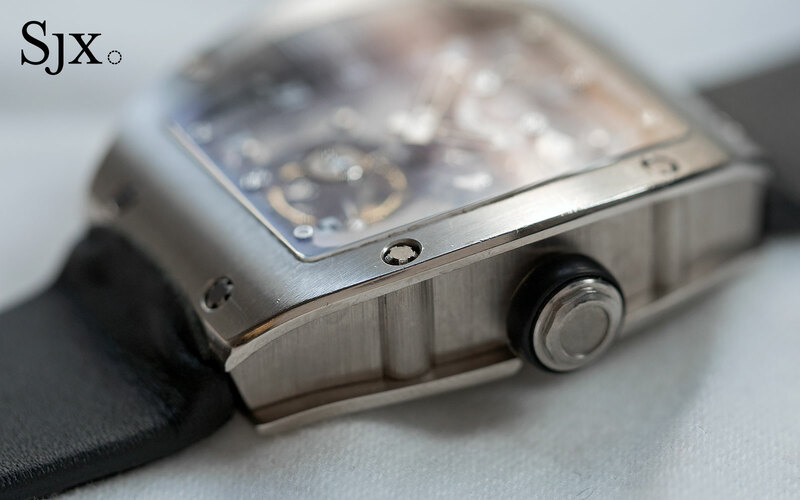 The estimate is HK$2m to HK$3m (US$250,000 to US$400,000). 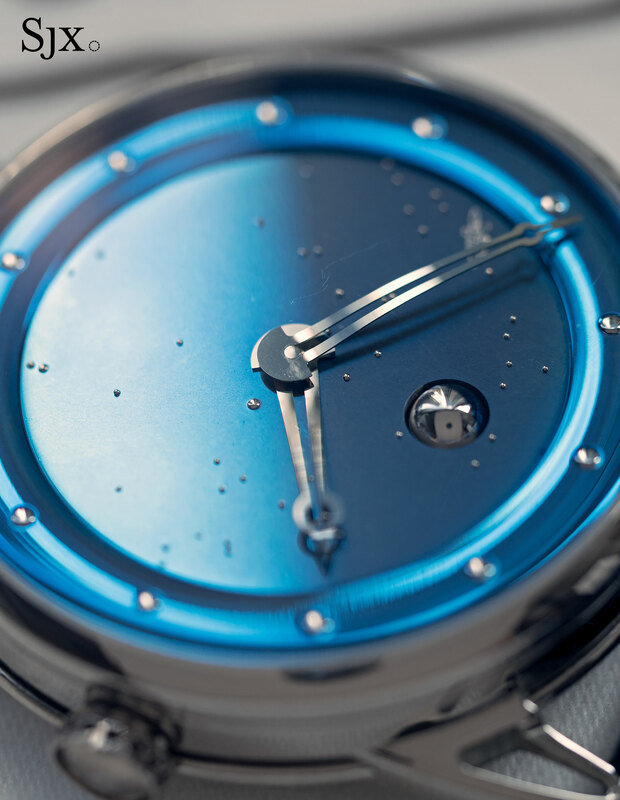 The preview exhibition of The Hong Kong Watch Auction: Four takes place May 25 to 29, from 10am to 6pm, at the Mandarin Oriental in Hong Kong. 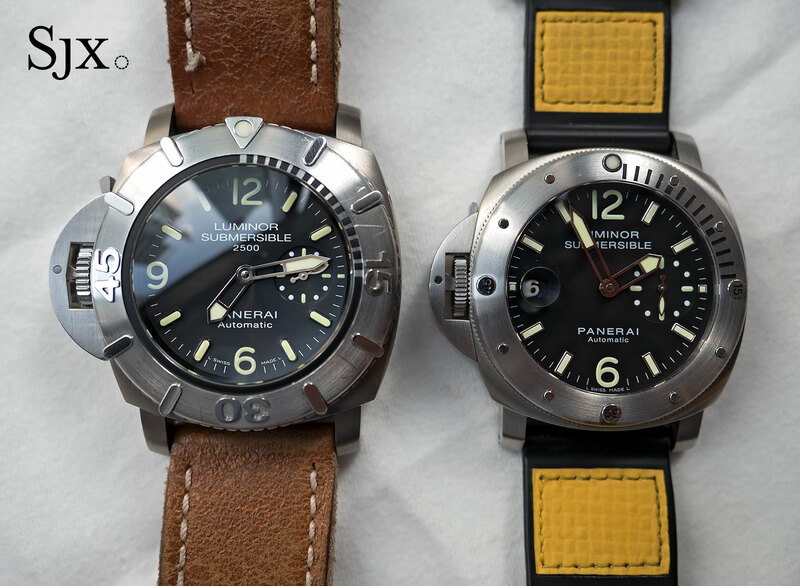 And the auction will happen at the same venue on May 30, 2017, starting at 1pm. 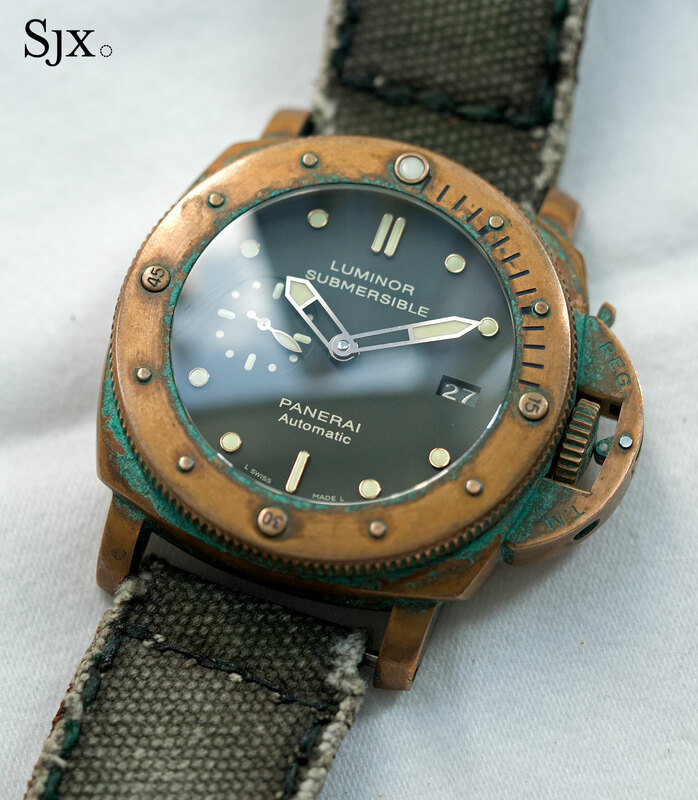 The auction catalogue is available online here. 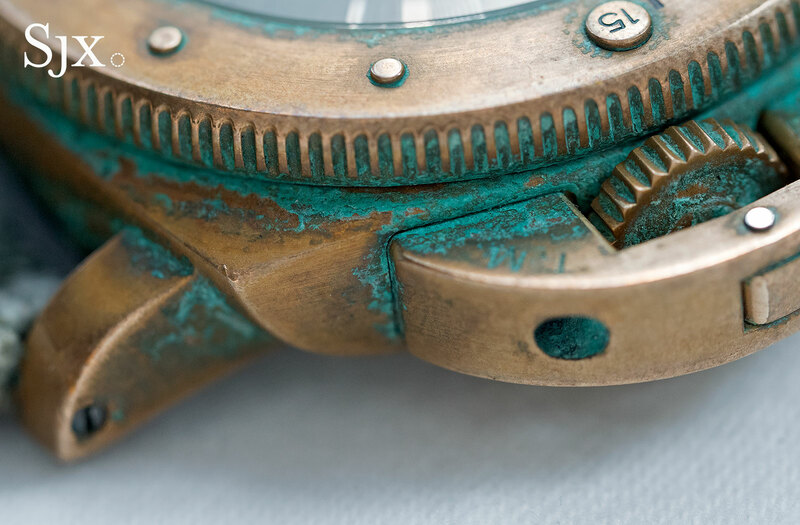 This was brought to you by Phillips. 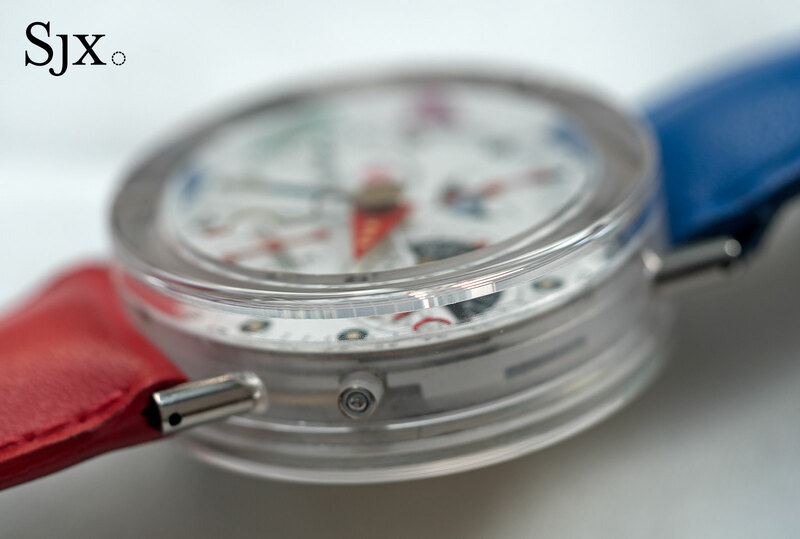 The Singapore preview exhibition of Phillips "The Hong Kong Watch Auction: Two" takes place in Singapore this weekend, May 7 and 8. 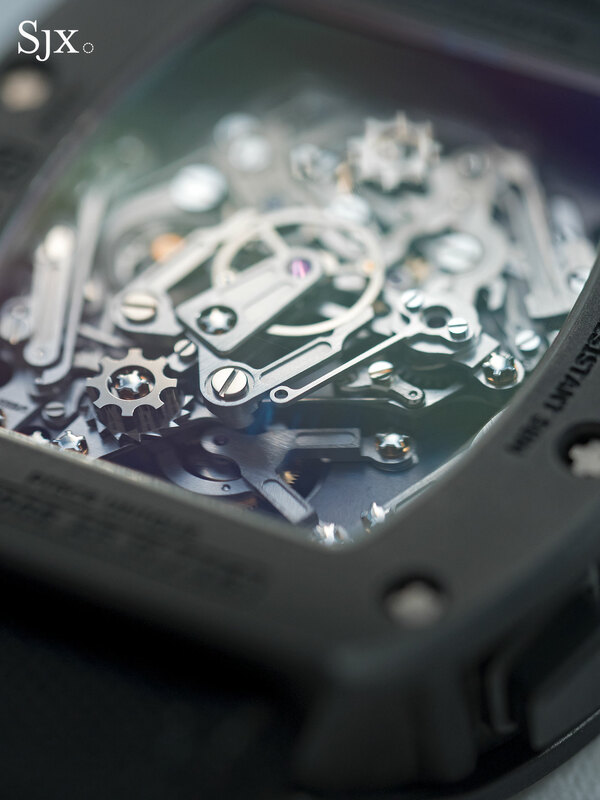 The actor who plays Iron Man tells some entertaining stories while explaining his timepiece collection to GQ magazine. 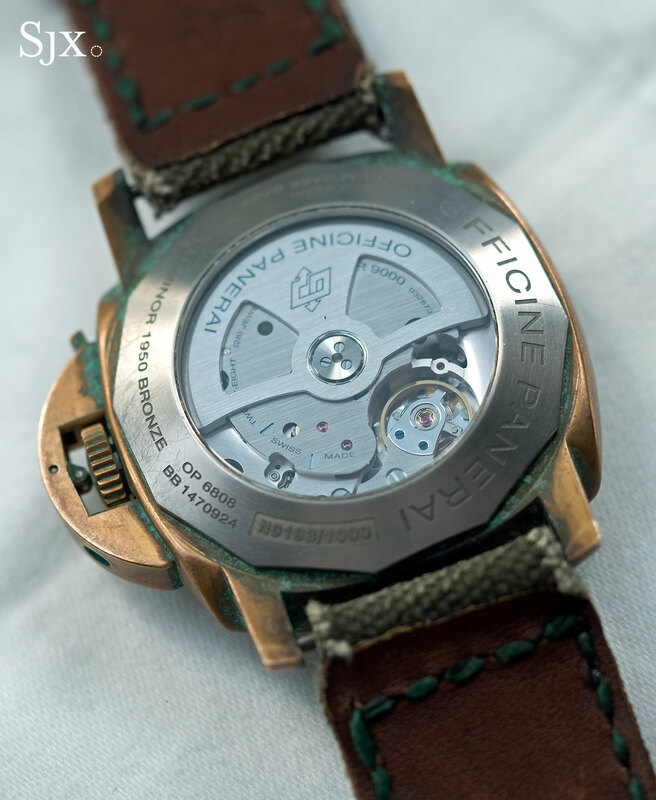 For its 40th anniversary the iconic octagonal wristwatch is dressed up with a hammered finish taken from Florentine jewellery.